Balance and harmony are key energies for this Pink Full Moon in Libra on the 11th and how we can channel this in a way that tempers both our individual needs with collective integration for a higher good as One. I’m seeing new opportunities being presented to us all if we keep our hearts open and release attachment to how things “have” to be. Every moment can open us to wider perspectives and potentials with some willingness to discern and feel to the core of things. A great time to readjust our energy output to that which supports optimal and empowering well-being. How can you support yourself into your authenticity without judging others for what they are revealing of themselves as their own process at the same time? The more we remove our own costumes we’ve been accustomed to hiding behind, we understand dynamics at work without expectations from others or belittling demands on ourselves. A lot of old pains and shadow aspects are continuing to rise to the surface in order for us to realize our potential to shift perspective and open our hearts to a new way of experiencing things that can transmute it all and manifest our intentions nonetheless. So yes, there’s still a lot of intensity around, but there’s a major contrast of incredible things happening for people alongside a lot of challenging things people are also experiencing. Retrogrades, like we’re experiencing, are opportunities to reassess and realign ourselves. Everything is rapidly transforming and it can sometimes be hard to keep up with the constant change, but also very liberating if you can find a way to embrace greater fluidity. Libra is an air element and that brings to us opportunity to expand our minds and not get hung up on over-obsessing and excessive analysis, but rather partnering our minds with hearts to gain new perspective and expansive clarity that may spark new ideas and innovative visions for our journeys. 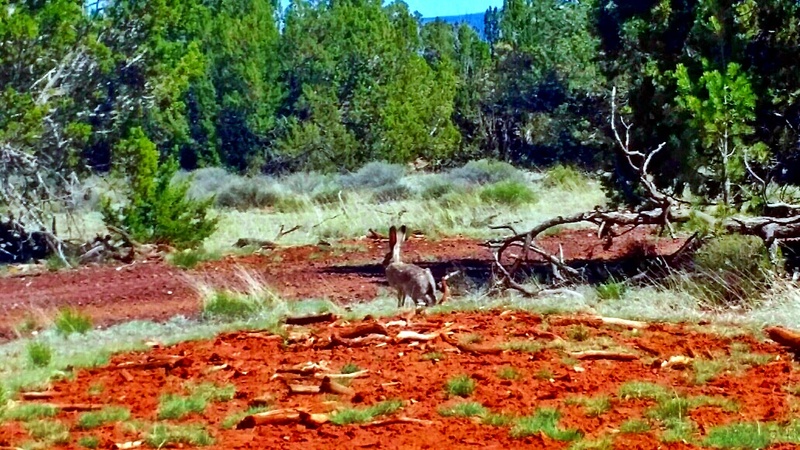 As you know, we’ve were in Sedona the last several days since Wednesday, which has been hugely expansive, once again, for us. And more than I thought, actually, has unfolded upon returning and allowing the energy to settle in. We have a lot that opened and shifted (even just today) and received clarity on things since being home that once again proved how fluidity and staying open to greater possibilities, allows that to happen. Interestingly, upon returning home yesterday we discovered that the unit below and left to us had a sewer issue that caused some minor flooding in their place and the plumber was here working on things, that got fixed today. The pipes are connected to all units and unfortunately their unit gets the problems because they are lower and have the lowest sitting shower. The issue that is normal around these parts is that tree roots find their way into the pipes, seeking out water sources, and that can create blockage issues. Something to maintain once a year. All of that seeming symbolic with rooting going on in our lives and finding ways to flow with nature. Anyway, since the 4 units are connected, we all had to stop using water until the plumber returned to fix it all this morning, and that felt reflective of this pause in percolation taking place with our feelings about things and examining what is at the heart of it all. Also reflective of our opening to this expansive, freeing and light new perspective, which shifted the course of things and even aligned us greater with our frequencies, the back-up was fixed, and our fluidity of embrace and movement with the energies showed us an even better way – all freeing everything up at once in connection to each other. I also anchored even more deeply with the journey most heart-resonant for myself as well and made a big decision this morning. 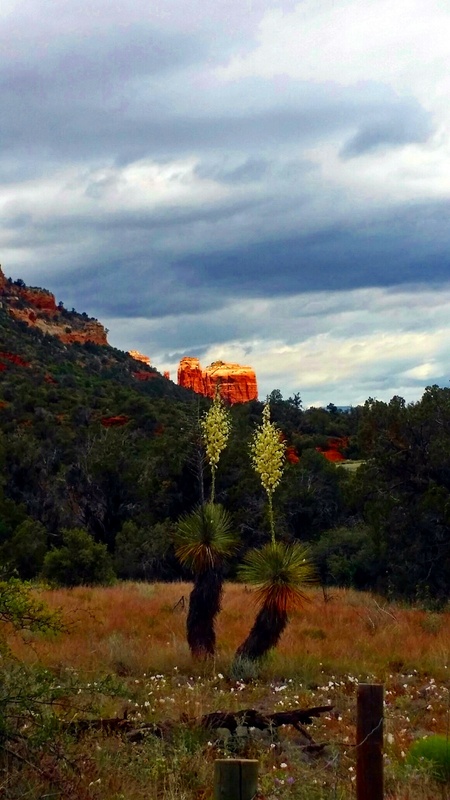 Being in Sedona was very balancing and transformative, as it always is and my relationship to her energies have shifted since I first lived there back in 1996 from intensely supportive in stripping away onion layers, to flowingly supportive, light, yet powerfully gentle. I’ve returned many times since I lived there, with a large break between the next time I returned, but then was back a couple of times in a row for some classes and hosting a booth at the Raw Spirit Festival, breaking again until I got my dragon tattoo there, and then returning the last 3 years in a row at the same time each year – Spring. Each journey being hugely mirroring and opening for my life. This trip was very productive and had very purposeful and meaningful reasons for us being there at this time, creating activations and anchoring on several levels – too much to delve into detail here, as I’m also pressed on time right now. 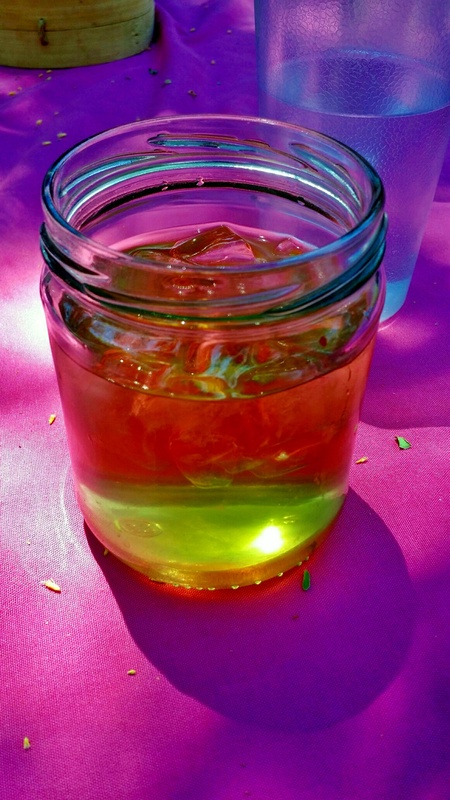 But one of which I’ll mention a bit since it was a moving experience for many that connected to my Crystal Skull, includes the transferring of guardianship of my beloved and powerful Raja Seraphina to her new and amazing guardian, who also is a dear friend. 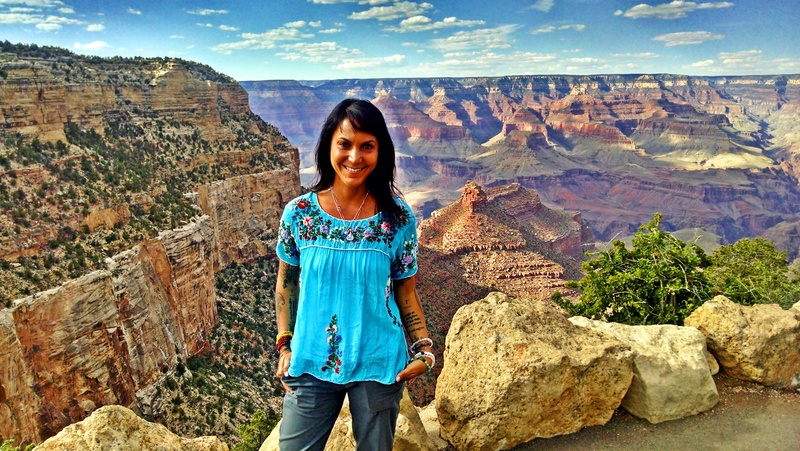 I am so grateful to Dawn for opening to this huge shift that is igniting an incredible journey of her life’s work. It is amazing to see how R.S. has energetically shifted since being with Dawn and I’m so touched in seeing the pampering and dedicated love and honor Dawn is sharing with her. A match made in the Cosmos. I’m excited for their work ahead, which will be powerful for the collective. And grateful for yet another bridge created between us with R.S. The timing couldn’t have been more perfect with the upcoming Full Moon either. I hear she’ll be receiving a Moon bath and so much more! 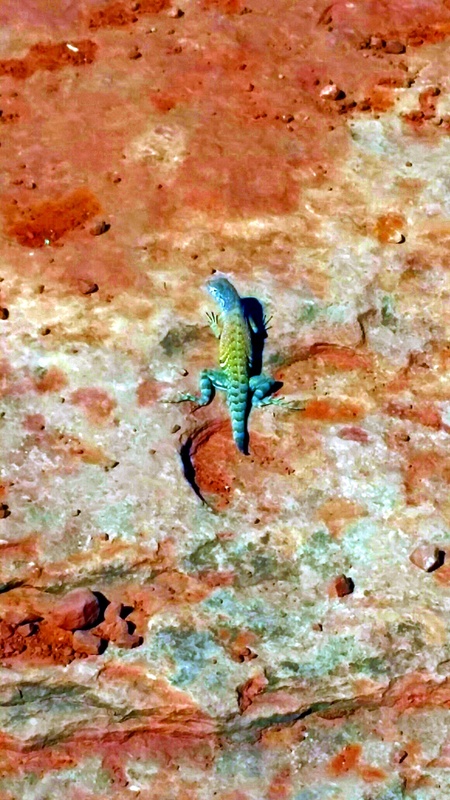 We had a very full several days in Sedona with all that we had scheduled and going on there, including a last minute connection with another sweet soul, her hubby, and little Faery daughter that was full circle since we first met in person in Sedona back in 2011 (fun to see how much has changed for us since then), but everything aligned perfectly and we still managed to enjoy awesome food and get in some great hiking – about 20 miles in the available time slots we had over 3 of the days taking us to Boynton Canyon, Broken Arrow (behind Chapel Rock and up to Chicken Rock), trails in Red Rock State Park along Oak Creek, Bell and Courthouse Rock loop, as well as Baldwin Trail behind Cathedral Rock. 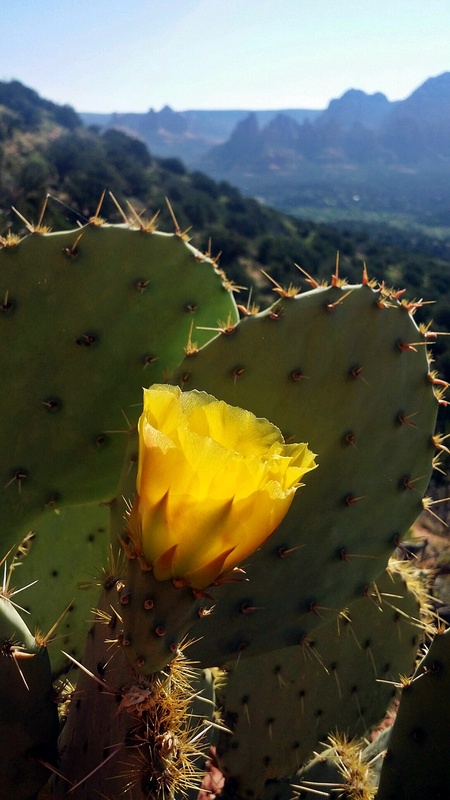 The high desert right now is lovely with flowers in bloom too. Perfect reflections all around, energy, and balance. I loved that we were there in the wake of the Full Moon approaching too, which was very cool for our labyrinth and medicine wheel walk we did the night before leaving. That was the second labyrinth walk, as we also walked it with Dawn on the day we met. All in all, a beautiful journey through another portal that has infused inspiration, more clarity, and ignited another propulsion of activation. Continuous blessings to constantly be grateful for. And even when twists and turns, ebbs and flows take place…it just isn’t possible to be upset or stressed about it, because it always flows into something even better than imagined. And while I know that there is a lot going on out there that holds a different energy, I know my part is to hold my own and continue seeing everything in its wholeness as an integral thread to the entire Cosmic tapestry weaving itself into being. I may have some exciting news to share soon. Until then, wishing everyone a balancing, clearing, and supportive Full Moon. 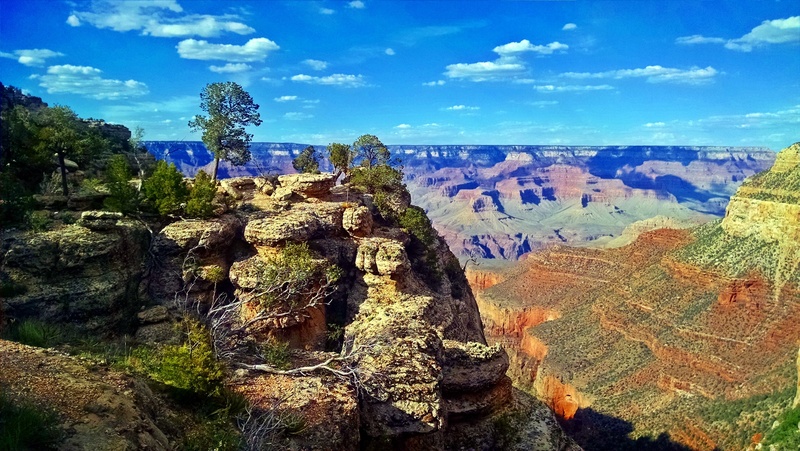 We’re off to the Grand Canyon on this beautiful first day of Spring, soon to be settling in our home for the next few days. 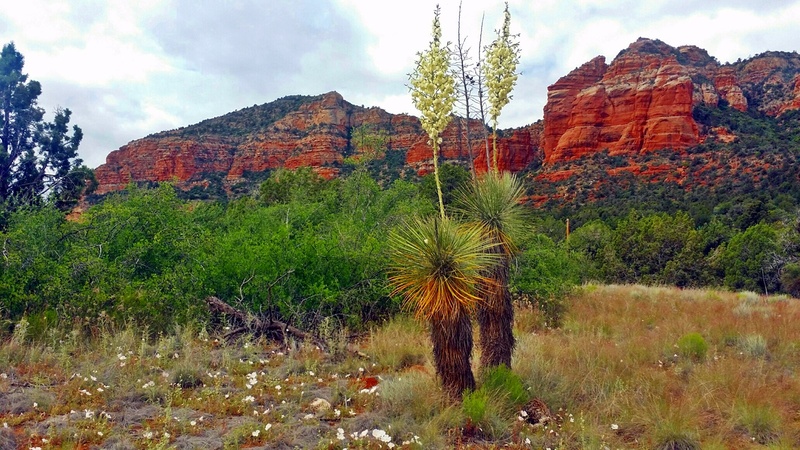 Our time in Sedona has been more than I could have hoped for, as we immersed in the fullness of our experiences here – a perfect place to transition from Winter to Spring in literal and symbolic ways. I’ve never felt more aligned with Nature than I do at this time in my life. I’m grateful we decided to spend two weeks here to not only take in a ton of Nature and the richness of potent energy, but to also allow enough time to assimilate the energy and have it take root. I’ve so enjoyed experiencing the first blossoms of Spring throughout the high desert here with pockets of little white, yellow, lilac, purple, orange, and coral flowers sprouting everywhere. Serenity, harmony, and clarity have been the guiding energies of my time here. We’ve enjoyed our beautiful and peaceful spot we’ve called home for these two weeks. 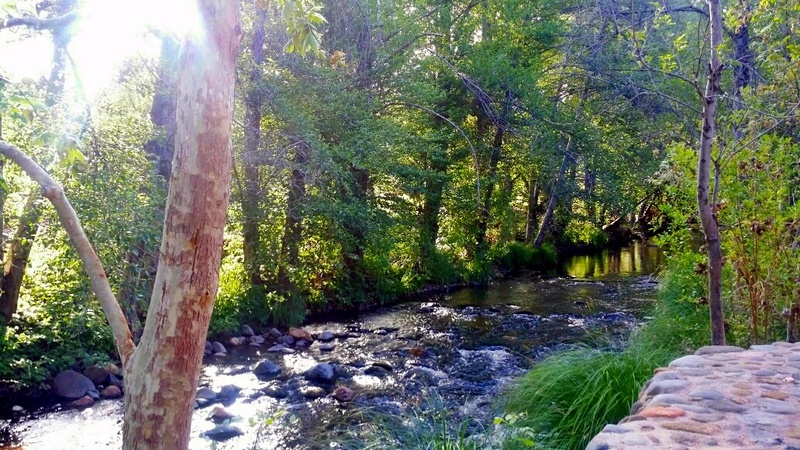 The ancient springs surrounding our resting ground have been another reclaiming of my ancient voice, not to mention all of the ancient energy we’ve experienced here in totality. I’ve released things fully and am feeling the joy of new life and freedom with Spring’s dawning. And to reiterate the messages I have received and am embracing, which I shared in my video “Embracing My Truth,” I pulled this card the next morning after I posted that video, which I’m sharing with its message below. Yesterday was our last full day and we ended it with a bang doing what could be our favorite hike of our time here in Schnebly Hill. Everyday we listened to our inner guidance, as to what trails called to us and it ended up that this nine mile beauty, which was pretty epic in all of our opinions (we had friends – a couple – come join us for on our last Friday and Saturday here), came to be our celebratory closure with a big bang! 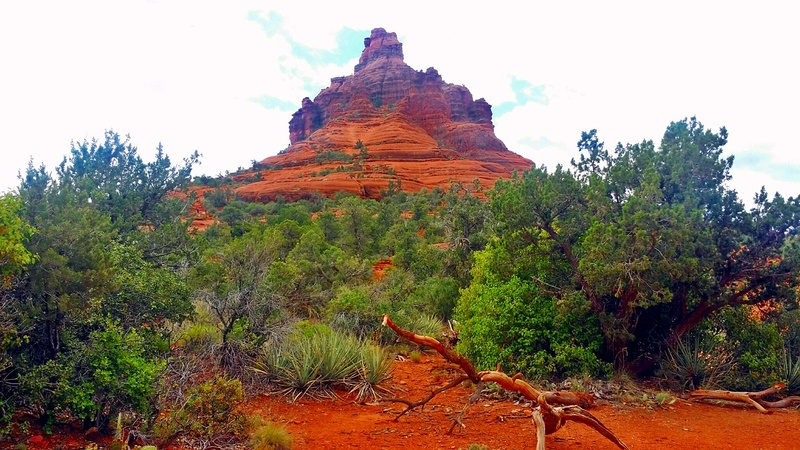 I thought I’d share all of the trails we did while in Sedona, in case any of you feel called to explore the area at some point, or try other trails you might not have yet. We haven’t even scratched the surface of trails available here, but we loved all the ones we did. You just can’t go wrong here. 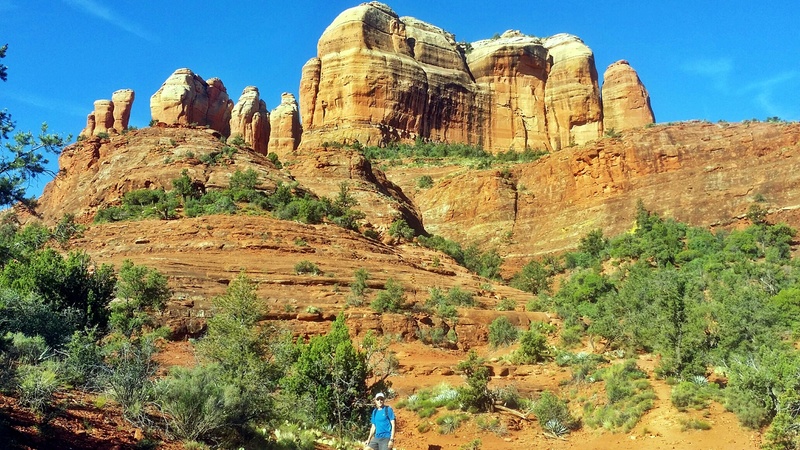 So here’s a list, in the order we did them of the trails and areas, and below that, photos from our last farewell day in Sedona. Grateful for our time here and everything received. 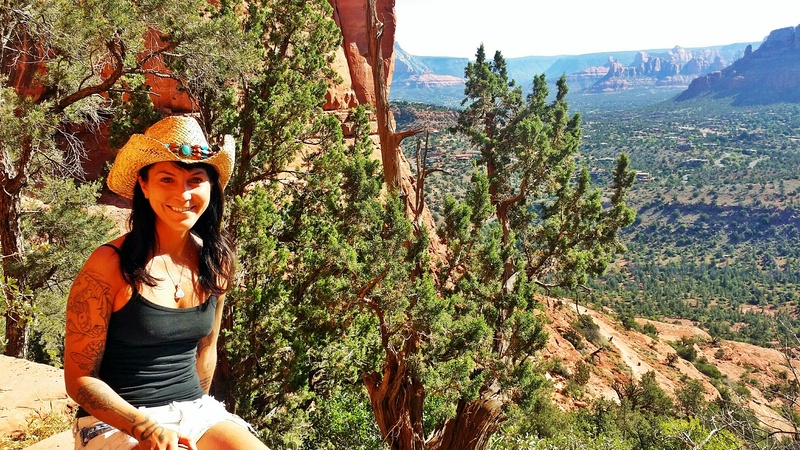 I will miss Sedona until next time…. Happy Spring Equinox to you all!! Perhaps you might ponder this, as you welcome in new blossoming potential. Where in your life can you let go of more to make way for the new? The more you grasp and hold on, the less you can receive in. Nothing new can penetrate your experience until you allow the door to fully close on the old. Letting go doesn’t mean you don’t appreciate and love the experiences, nor does it mean you condone those you haven’t. It simply means you allow the energy to naturally flow through you without controlling it and stopping it from its nature. It means you return to natural harmony, in reflection of that flow. 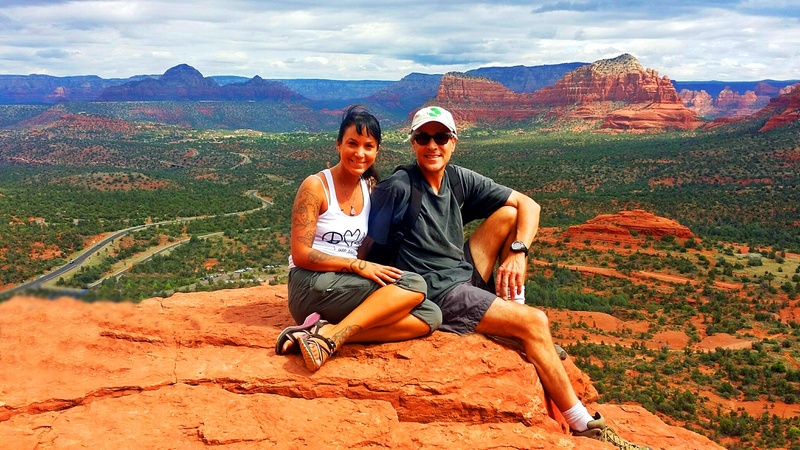 Since I may not blog again until next week, I thought I’d share a little update of things here at our mid-point of the two weeks we’re spending in Sedona right now. Between very limited Wi-Fi, my focusing on my writing this week, and deepening into more embodiment of the transformations taking place here with me, this feels most aligned and nurturing. A lot continues to release for me and become exquisitely clear, and for that I am truly grateful. My parents came to visit this last Thursday and just left yesterday morning. 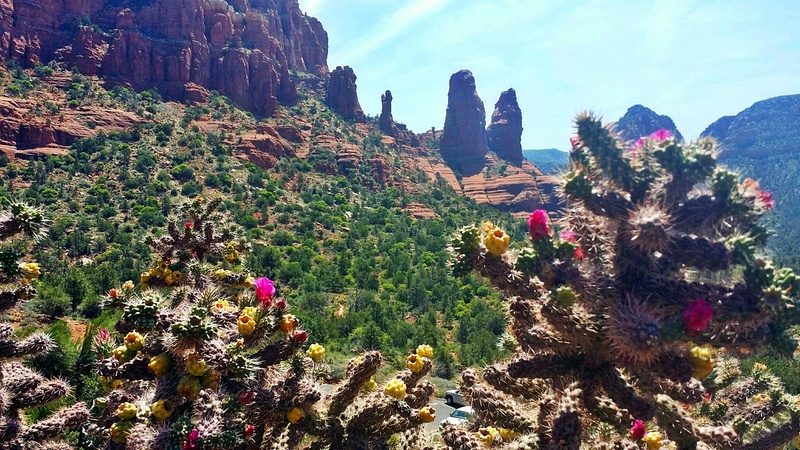 We had a wonderful time connecting here in Sedona’s energy, sharing a lot, and nurturing major shifts for the four of us individually and collectively. I even celebrated my 15 year anniversary of officially and legally changing my name on Saturday to Tania Marie (making my middle name my last name and aligning with myself fully), which felt so beautiful as a rebirthing while here, which is exactly what I first experienced when I lived here nearly 20 years ago. It was also the first time for my parents to return since they sold their house here in 2006, making it 10 years ago that that cycle ended and they were able to revisit things from a new perspective and experience their own expansion. 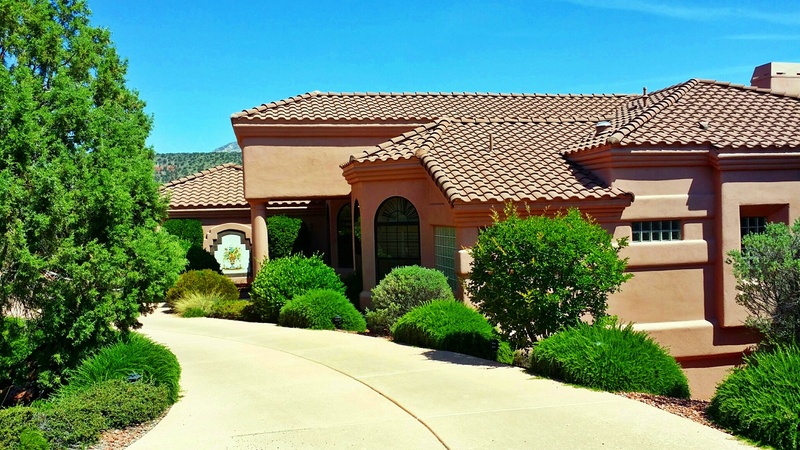 And it is nearly a perfect 19 year anniversary here shortly, that I lived here, as I moved with my parents to Sedona on March 26, 1997 and we’ll be leaving on March 20th. I lived here for nearly 3 years at the time and my parents had their house here for nearly 10 years. So lots of spiraling cycles we experienced. While both my parents and I lived here there were many things we never did, since we were focused in a different way at the time with the energy. So for me, each time I’ve returned has been from a different perspective and the last two times have been about exploring all of the trails and vortexes I never did. We have been doing a different hike or mountain biking trail every day while here and will continue so this week, heading off right after I post this actually, on today’s hike. But my parents also got to do a couple of hikes, which was a first for them and it was fun holding my mom’s hand and assisting and guiding her up and down steep, rocky areas. I was really proud of them both, especially my mom, for welcoming the experience. We also for the very first time took a Pink Jeep tour, which we never did in all of these 20 years since first moving here. 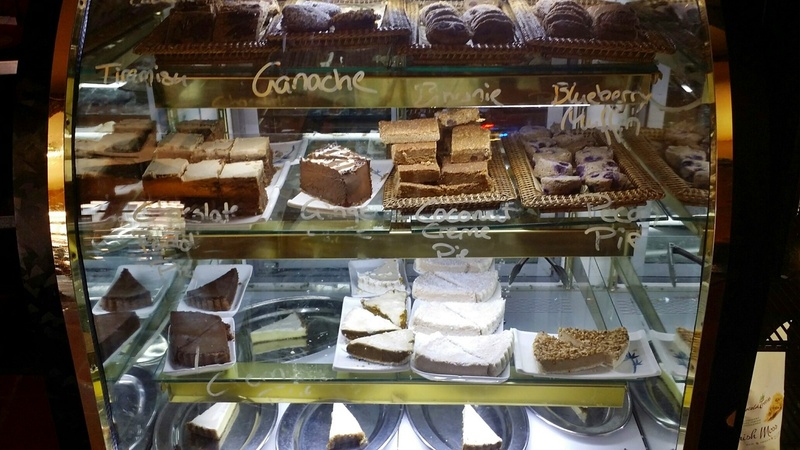 It’s like the most popular thing that visitors do here, but it took this trip for us to decide to try it. 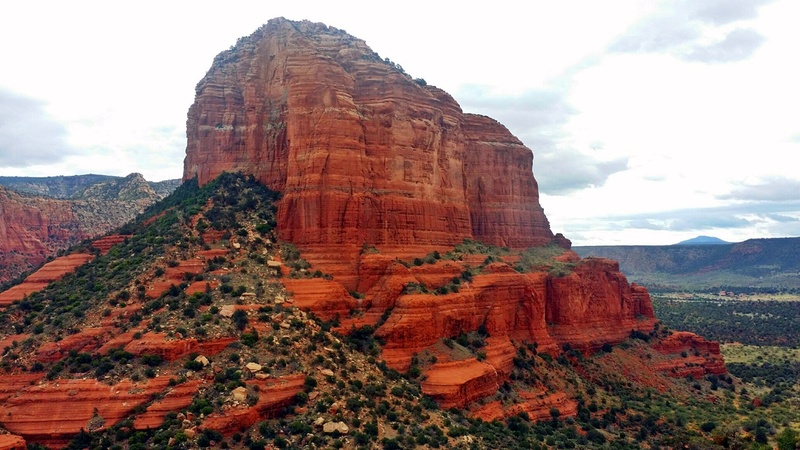 And we chose an amazing tour of Broken Arrow, which goes behind the Elephant Buttes, Chapel Rock, and Madonna and Child, on the opposite side of where we used to live. So it was really cool to get the back perspective we never saw, as well as visit Submarine Rock that we climbed out on, and a sink hole. Our guide, PJ, was also amazing and perfect being such a child at heart and a plethora of information. He played with us a bunch and indulged my loving all the crazy stunts he did with the jeep and making it the fun and wild ride I love. And a crazy ride it was going up and down steep rocks and a place called Devil’s steps. Weeeeeeeeeeee! We also were so fortunate to have an amazing sunset while we were on this tour. There were just so many incredible things that have been aligning and gifting us. What a blessing! Our guide, PJ, also took these two super fun photos of us with my cell camera, having us follow his instructions while we giggled, and put my phone on a mode I never knew I had!! Here you see the four of us duplicated, which was done by us running in circles at his command of calling out our numbers. And here you see a super symbolic photo that I love…where he wanted me to play two parts of myself…the innocent, sweet child, and the mischievous, darker side. I love how it turned out, as it is the light and the shadow within, integrated. And even nature was reflecting this, as there is light on the rocks behind the innocent me and the rocks are in the shadow behind the darker me. LOL!! This is so powerful. And we all had a good laugh at these photos! We packed a lot in, in the few days they were here and of course they also got to visit our RV park and visit with the fur babies a bunch. Dave had to fly back to LA to be interviewed and filmed for another upcoming documentary film while they were here, so that provided a full day and a half for me to visit with mom and dad just the three of us. We had a lot of fun and being that I won’t see them for a long time again, until/unless they come out to visit us again at one of our destinations we will be at, it was really nice to have this time with them in a place so special for us. 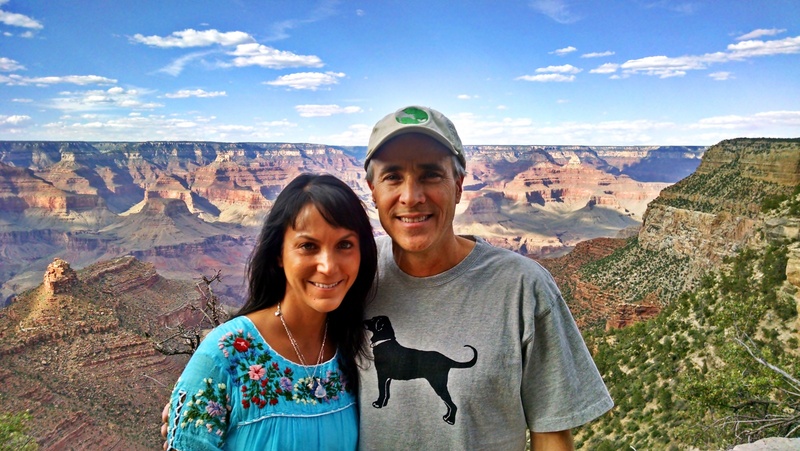 We enjoyed the day exploring, including a drive up the canyon and checking out the Indian artistry. We each purchased some Navajo Indian jewelry from the outdoor markets where they sell their handwork at. Both of my parents got a turquoise ring – my dad got a “Sleeping Beauty” turquoise, which comes only from this area that he has had a huge shift from his connection with the stone and how he said it draws him into the cosmos within him. My mom gifted me a beautiful aqua agate pendant with two silver spirals on it that I love. The spirals mirroring all of the ancient symbolism I’ve been seeing at the Intaglios and Petroglyphs. And I purchased a simple copper ring with bear and bear paw symbols all around it because along with sea turtles that keep showing up, bears are too in my dreams and visions. I had a recent dream of me with a brown bear where it was so drawn to me, playing with me, and not wanting to be away from me. A change from the black bears I was interacting with, moving into the grizzly bears….so that seems significant and integrating parts within myself in a dancing partnership. I love the symbolism of bear and the strength they impart. So the ring signifies the strength I’ll be supported in having for the next leg of my new journey. My parents got to connect with all of our babies, as I mentioned, and this time I wanted to document the connecting for them, as you never know what time may bring and how much there is remaining. I know my mom will cherish having these photos because of how much she adores them and will miss them. It’s so fun to see dad with them too and how much our male cat, Boojum loves my dad, always jumping in his lap and purring as loudly as a panther. I also got to spend Sunday morning with my dear and special friend Dawn of Reiki Dawn, which was extremely cherished by us both. We shared a meal I prepared of vegan tofu scramble that had a Mexican flare to it with toast and blackberry jam, trying out a new Tahitian vanilla hazelnut tea I’d just picked up. We both felt like we were in a time warp that extended time, as our two hours felt so much longer together and indeed was activating and reiterating for us both in sharing so many similarities we were experiencing and feeling for what is to come. It was wonderful to have her meet the babies too and get to hold Cosmo. Joy and Cosmo have been connecting with Dawn for some time and so it was very sweet to have them engage together in person. 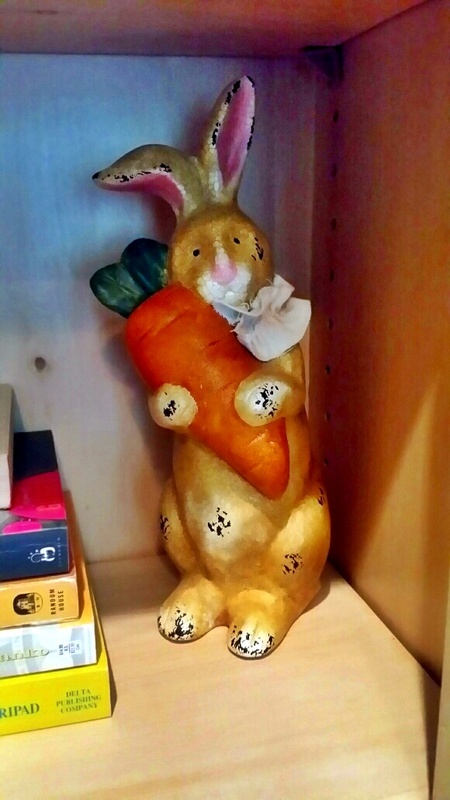 Dawn shared that upon leaving she felt like she’d received an energetic upgrade….oh those Reiki Master Teacher Power House Bunnies at work!! Dawn came to see why we nick-named Joy, Tiny, and Cosmo, Tiny Tim. She said that it’s incredible how tiny they are, but have such big energies. I said, “I know”…thinking of Nestor and how it was the same with her. It’s amazing how they get into those little, fragile bodies with such a huge presence. Another very cool synchronicity was that we both exchanged gifts that were meaningful and synchronous to us each and the card that Dawn gave me had a large swallowtail butterfly on it. That became significant because later that day we went hiking at Bell Rock, making a loop around the entire rock with my parents when Dave arrived back from LA. And on our hike a huge swallowtail flew through us and later that evening we went to a pretty amazing restaurant called Mariposa (butterfly) where there was butterfly symbolism everywhere, as well as this swallowtail out front to take a photo with. I couldn’t resist, as this was all so symbolic for me in a huge way. For all of us, being our last meal together to celebrate before my parents left, it was symbolic of the transformations that took place. 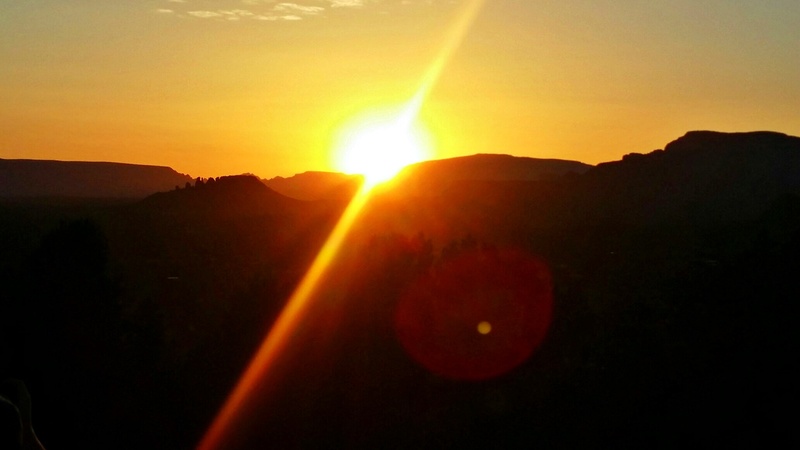 And for me, it echoed what first took place for me in Sedona 20 years ago. Butterflies were huge for me and showed up everywhere I turned. 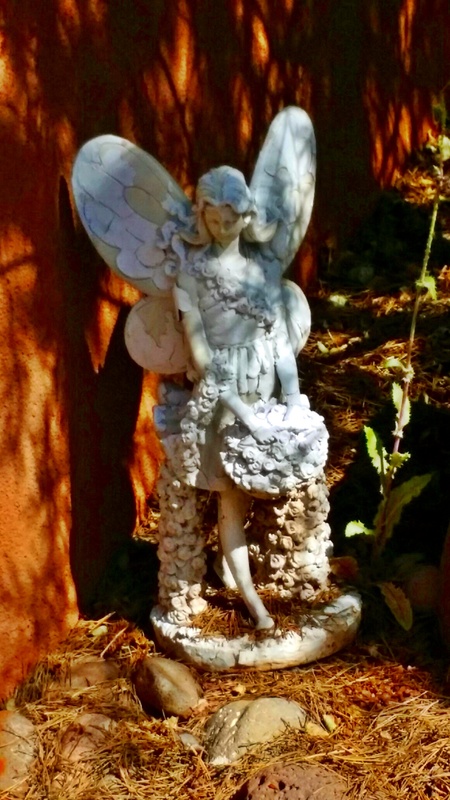 Several years before moving to Sedona I’d received that the butterfly was the symbol for my path in life. And because of the huge transformation I went through while living in Sedona and the butterfly medicine all around me, I got my very first tattoo to mark this meaning in my life while living there. 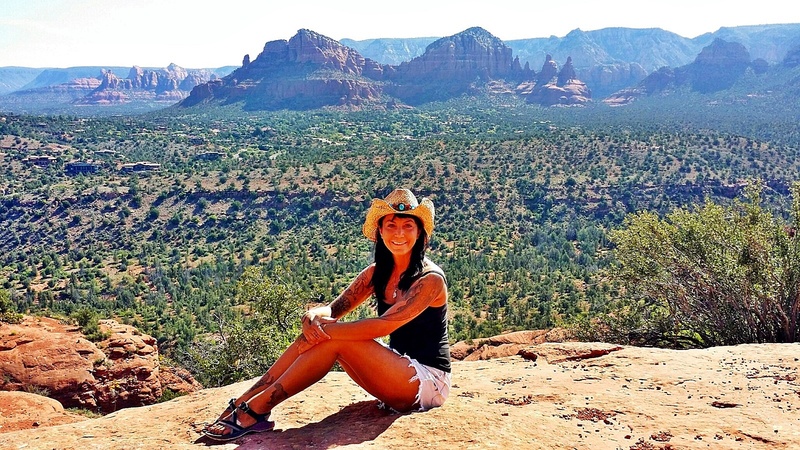 So my first tattoo was done in Sedona, and was a butterfly. And now this photo revealing the butterfly me emerging. LOL! On our hike that same day we were connecting a lot with Cosmic energies in our discussions and what was being revealed to us in the rocks as well, including this dimensional looking stargate rock and the one below that was like a giant skull that at the right end had the head and face of a Native Indian human and on the left end had the head and face of an extraterrestrial, both connected by an elongated skull – human and cosmic integrated. No one else was on the path we took, which was not as well traveled since most people go to the other side of Bell Rock. But on this path we came to a natural altar rock that had fallen from Bell and this became the place we created a crystal grid and then each stood at the four directions and asked Great Spirit to assist us with releasing everything and walking through a new door of experience, placing our aspirations into the grid. Very beautiful and powerful to share with us all together and it really anchored the energy of our time here that was also very full circle for my parents who got to revisit our old house and see how much the trees have grown, nearly hiding it from view now, and how much Sedona has changed since we lived here. And we lit a candle…one for each couple…making it there just two minutes before they closed the doors. To top it off, I gifted my parents a reading while they were here, just like we had just before they arrived, which was also very powerful for them and they truly enjoyed. So, there was a lot of things experienced that were all very nurturing and supportive to each of us and all of us as a whole as well. And even though my brother wasn’t here, he was here in spirit, as we included him in our crystal grid activation with a self-healed crystal my mom got for him to bring back with the energies imbued within it. I’ve loved our first week here so far and now we have another week remaining to keep integrating, shifting, and embodying more. I sense, like with my parents leaving, that it will be bitter sweet to leave Sedona, but who knows what awaits us. We have started to look at houses and land while here to see what calls us for when we land at the closure of our adventure. Yet the journey urges us on, as a big part of the reason for this adventure is to move the energy in our lives literally, while we explore, play, channel the new, and allow the energies to guide us to our next home when this journey feels complete. I sense some more announcements may come after this week so stay tuned, as I’ll stay tuned in with the energies to see what that is. 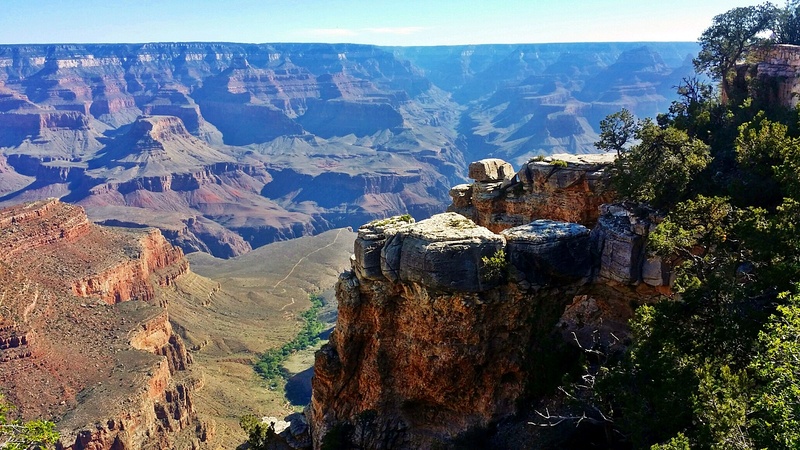 Returning to Sedona (with a stop-over at the Grand Canyon) was a surprise journey this year that felt very important. I found it interesting I had to cancel my Florida trip right before it, but that this trip remained intact for me. There are just some places you are meant to be and others not. 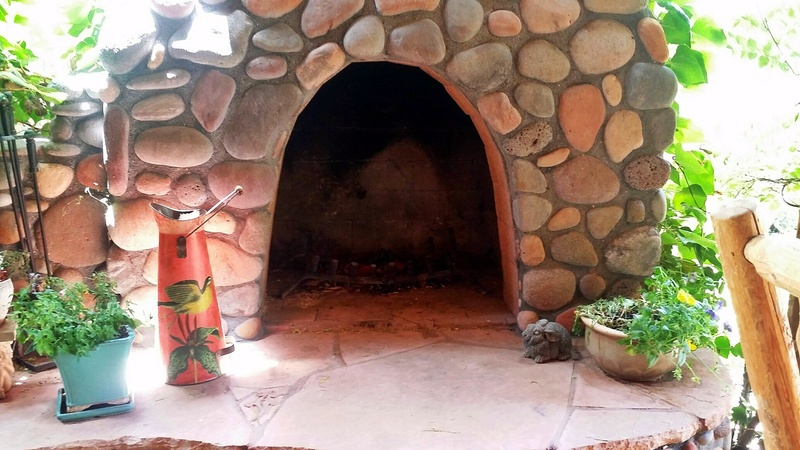 Since Sedona has always been a powerfully potent activation place for me that supports my big shifts, it made sense that my bunny loves wanted me home the week before, to integrate between Goshen and Sedona, and prepare myself with some nurturing. I believe they also wanted to infuse mom with some supportive energy and love for the journey while I supported them too. To add to my feeling of it being an important trip, I made a very synchronous and interesting discovery while in Sedona about it being a very full-circle experience, as the time period I first moved to Sedona for two years was during my #9 personal Hermit year (overlapping with my my #8 and #1 years) and here I was again in another #9 personal year spending the most time I have in Sedona since then. 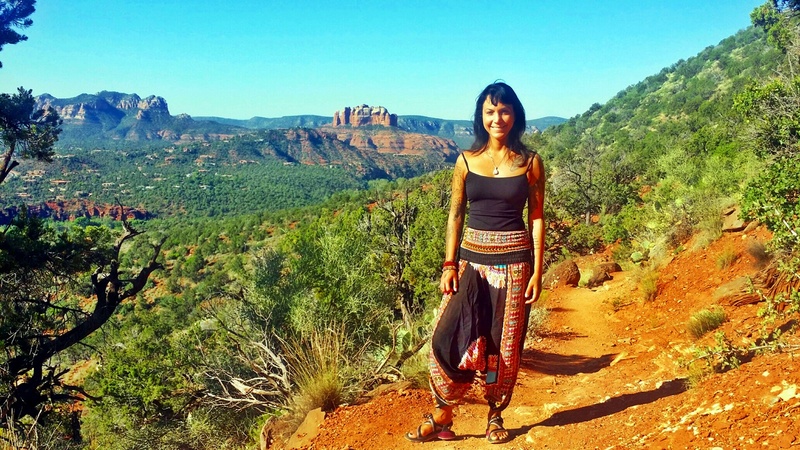 I lived in Sedona between ’96 and ’98 and have visited several times in between for specific purposes of either visiting my parents, taking classes with Laura, getting a tattoo, mini vacations, and showing my art at the Raw Spirit Festival – all at integral time periods in my life. 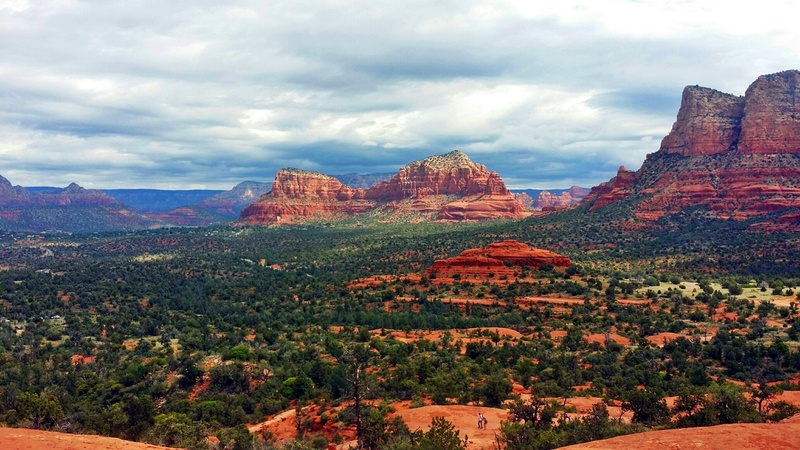 For me, Sedona’s powerful energy vortexes are transformatively supportive and it’s a place that I dip in and out when needed for a jet propulsion. 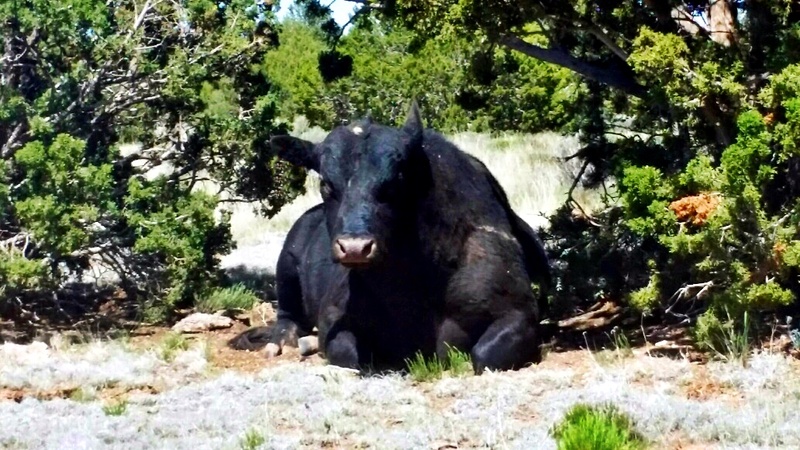 However, my time when I lived in Sedona was not quite what you’d expect. 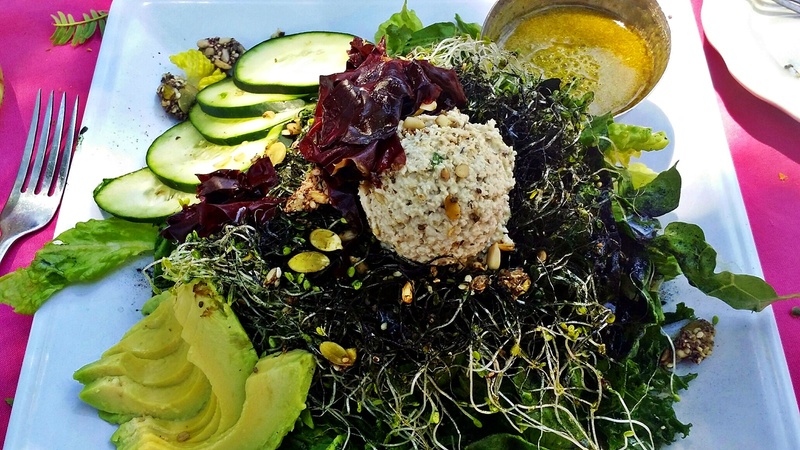 It was full-on personal and spiritual growth focused, utilizing the energy of this potent land to fuel that expansion and integrative healing. So, I spent my time by myself cut off from everyone and everything I knew (I walked away from my life as it was), deeply working on myself on all of the layers I possibly could on my own from pre-birth to my current year in age, within my own experience, and only got out to select areas some times to anchor in the work I was doing. But I never really explored thoroughly this powerful place. 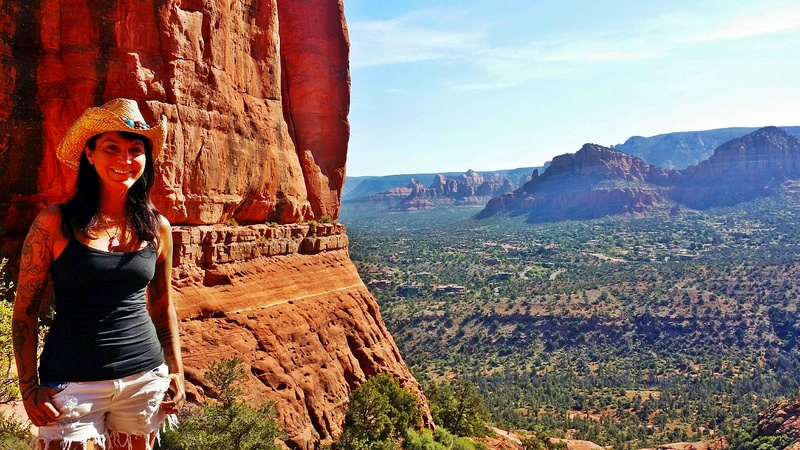 It wasn’t important at the time to do so, as Sedona in and of itself is a transformational energy zone that simply by my being there intentfully was supporting this process. 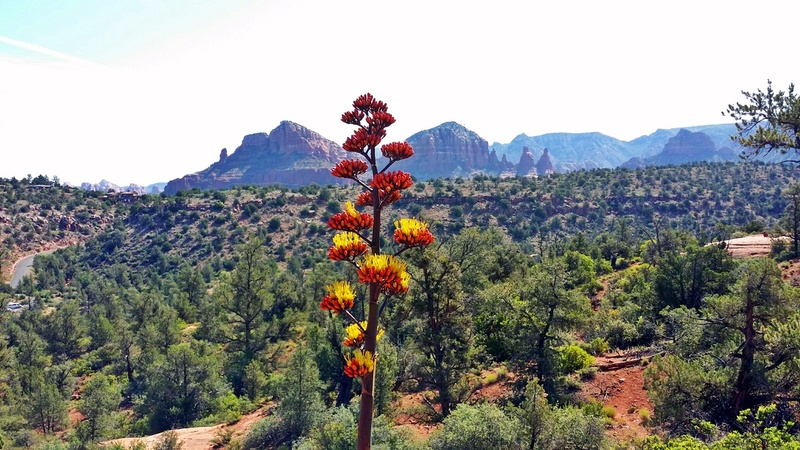 Sedona became my partner in this personal work that offered me a hand that I embraced. So, I was happy and grateful to be able to spend some more actual immersion connecting this time, during another important period in my life. It was a trip that almost wasn’t going to happen, but the Universe and my Higher Self saw to it that it did. And I felt that only specific areas were calling for me to go to while there…the others for another time in the near future. 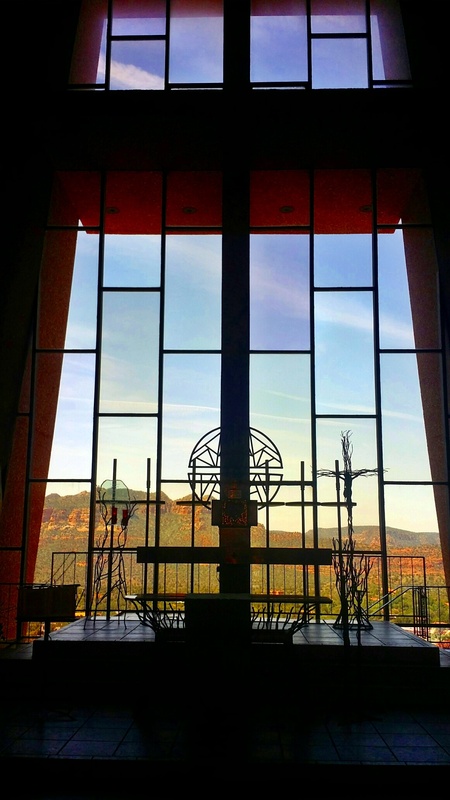 And such a different experience it is for me each time I return to Sedona…this one really feeling like a soul cleanse and soul recharge. Plus, I got to have some fun and everything felt specifically orchestrated from the heart and supported on all levels and by so many spirit guides. 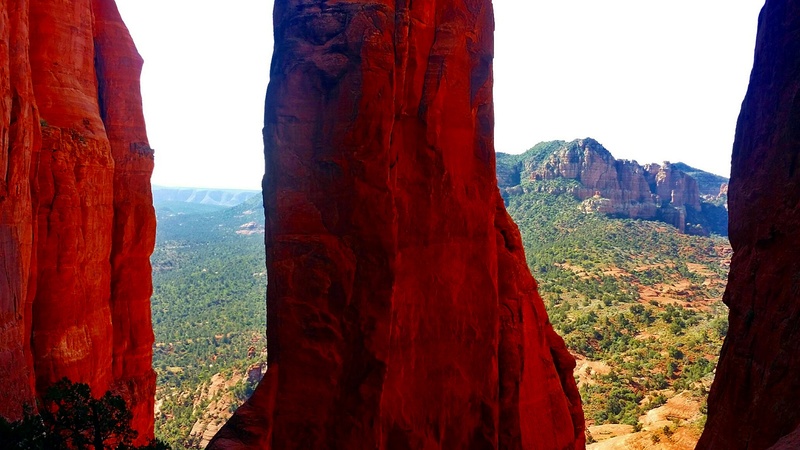 I also discovered that I’d be in Sedona for the Strawberry Full Moon in Sagittarius, unknowingly. This Moon was about “seeing through the fog of illusion to pierce the truth within”, which feels connected to Joy’s blind left eye and how she is “seeing” in a different way now and bringing that experience within my own. 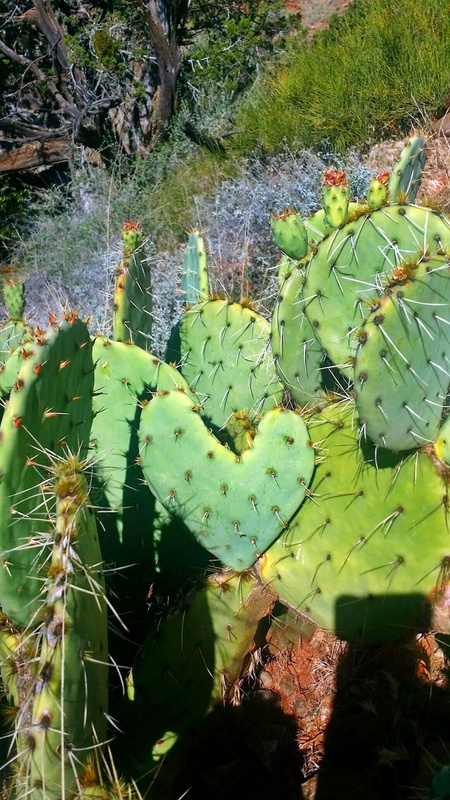 This Moon was also about grounding the electric and creative energy abound with wise discernment, which also felt very aligned with where I am. And the trip was indeed a lovely and seamless experience of supported and nurturing energies that I will continue to integrate and draw upon in the days, weeks, and months ahead. 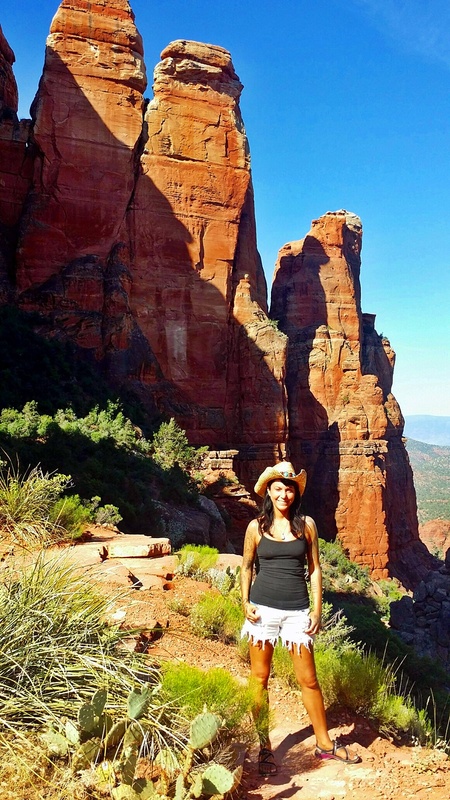 One of my favorite “return” trips ever to Sedona. This trip was organized by Dave’s family so it wasn’t something I put together or “timed” in any physically deliberate way, although soulfully these things are always aligned beyond conscious purpose. It makes you smile when you see how the Universe and your Higher Self always indeed have your back and support you when you trust and embrace your path. 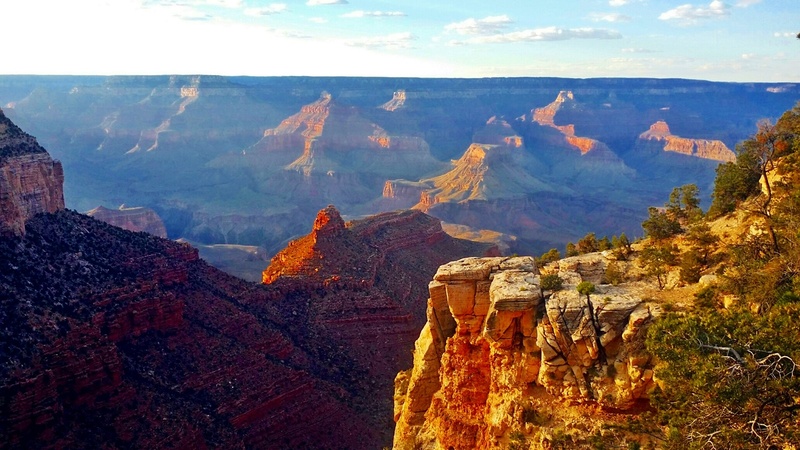 So I did have this built up excitement about returning to Sedona and also to be able to revisit the Grand Canyon, which I hadn’t been to for likely 30+ years or so. My trip began with another early start to make my three connections to meet up with Dave coming in from Florida and to get to Flagstaff, AZ on Sunday the 31st, which had us touching down at exactly 1:11 pm in Flagstaff! We then picked up our rental car, which was a cute white Ford “Focus”, which also seemed relevant to the eye stuff with Joy, and the clarity in general that is coming through in a deeper way. 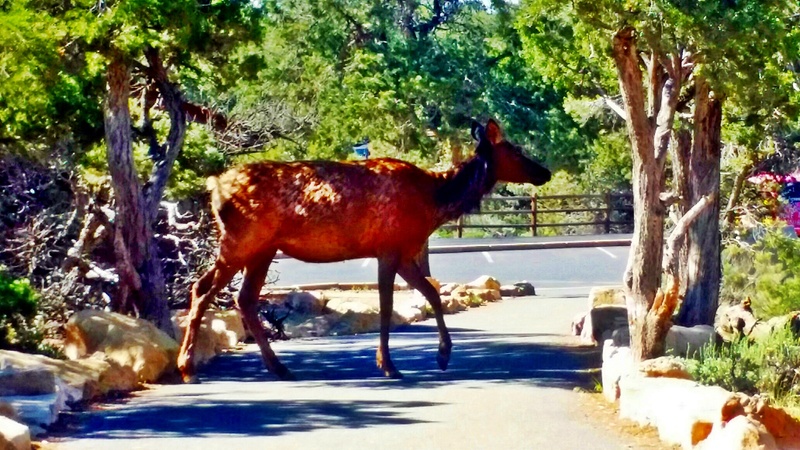 We found out that the rest of his family was deterred and delayed in their travels, so we had the day to ourselves until meeting up with his dad and stepmom for refreshments overlooking the Canyon in the evening upon their arrival. Rocking and rolling the energy at “Thunderbird”! 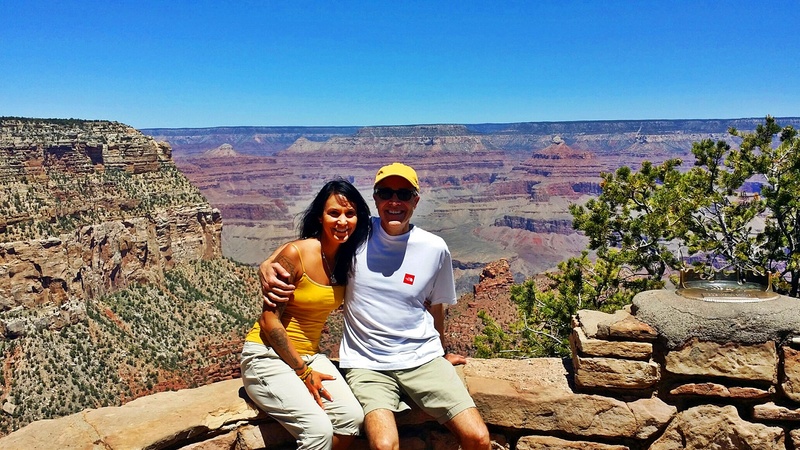 After that lovely little gift we then enjoyed the Grand Canyon energy on a walk to take in the views, sent some energy out to protect the Canyon and to receive her nurturing and blessings, and took time to sit along the way and just “be”. 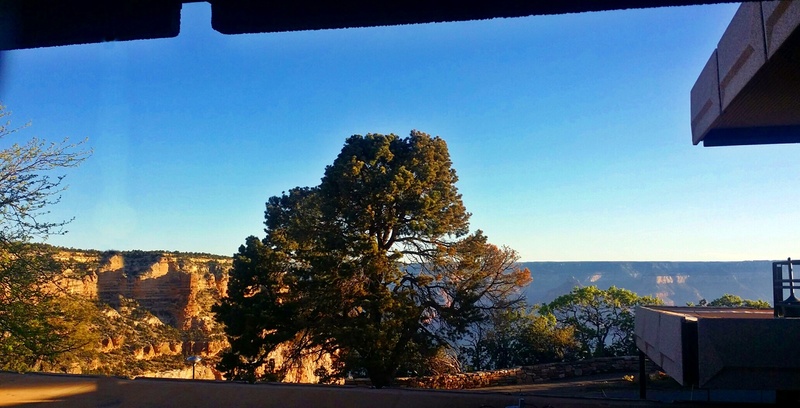 It was such a lovely afternoon and evening that finished off with sharing arrival drinks with his parents overlooking the Canyon sunset and a wonderful dinner. 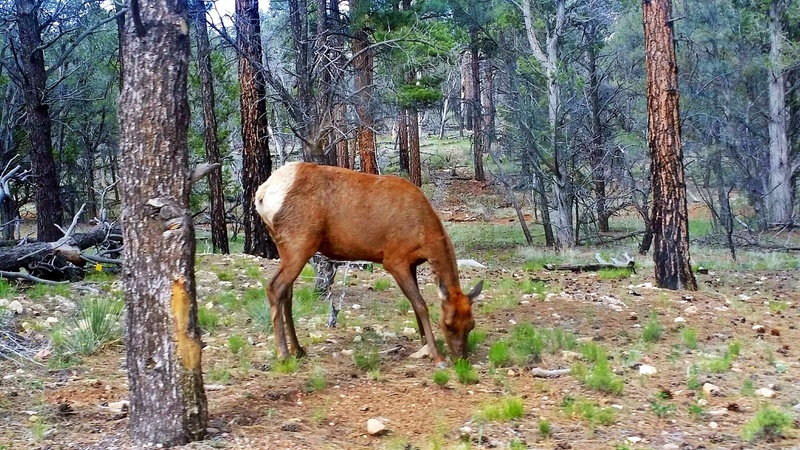 Dave and I always share beautiful encounters with the wild animals, having impeccable timing and awareness to see and connect with them. 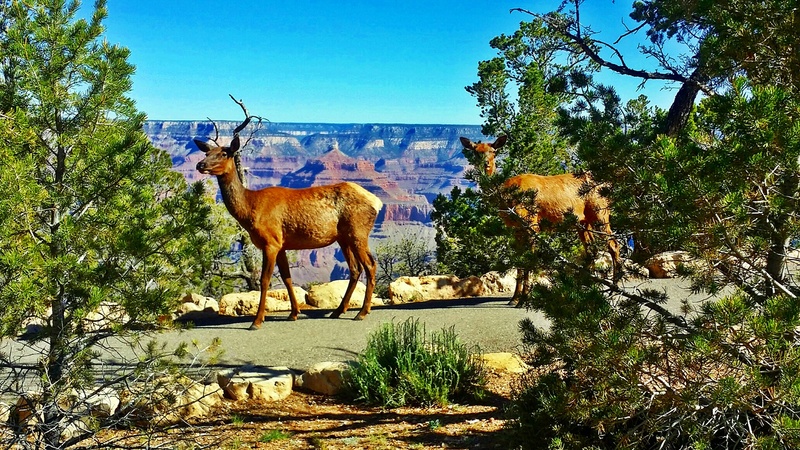 Our whole trip drew in many animal spirit guides, which all got kicked off when first approaching the Grand Canyon, at the Canyon, and then continuing for the rest of the week in Sedona and surrounding areas. Such a blessing. 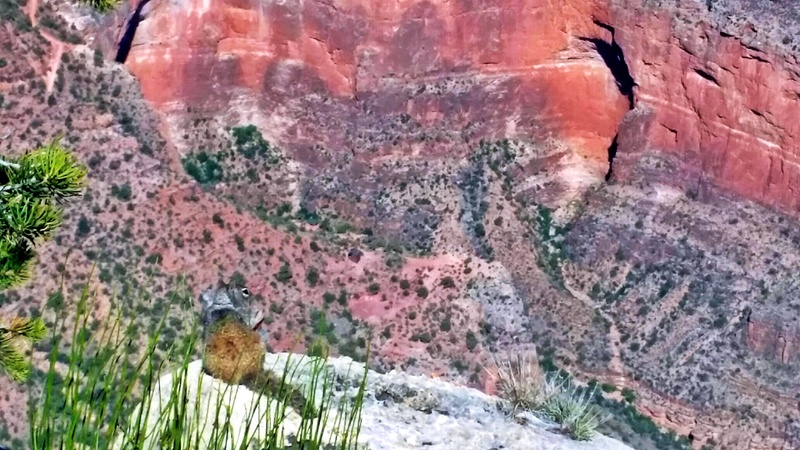 On our first day at the Canyon we saw many deer, lizards, chipmunks, and squirrels, but our second day brought these encounters even closer and in more abundance. We woke early to take a pre-breakfast 2+ mile walk along the side of the perimeter walk along the Canyon, which we didn’t do the day before. 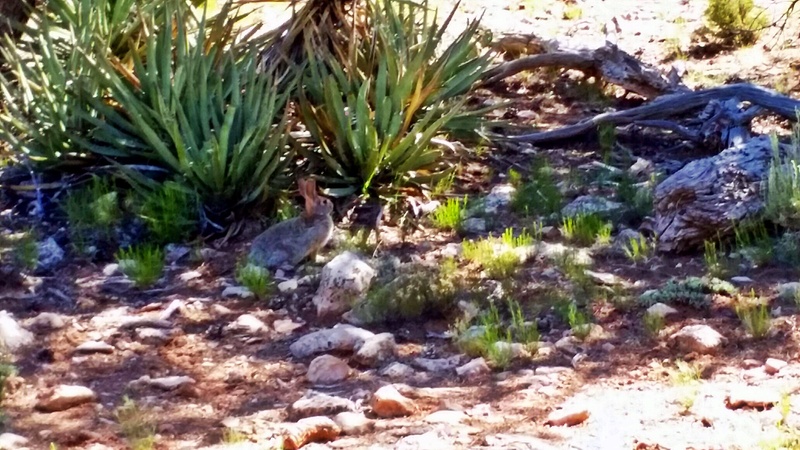 We came upon two deer directly in our path that just seemed to want to hang out and stroll ahead of us, and also tons of spunky chipmunks and squirrels running along the path with us, lizards, and even a rabbit blessing with white cotton tail. But we also got to see several condors, which was truly magnificent and potent to watch them gliding and swooping above the Canyon. 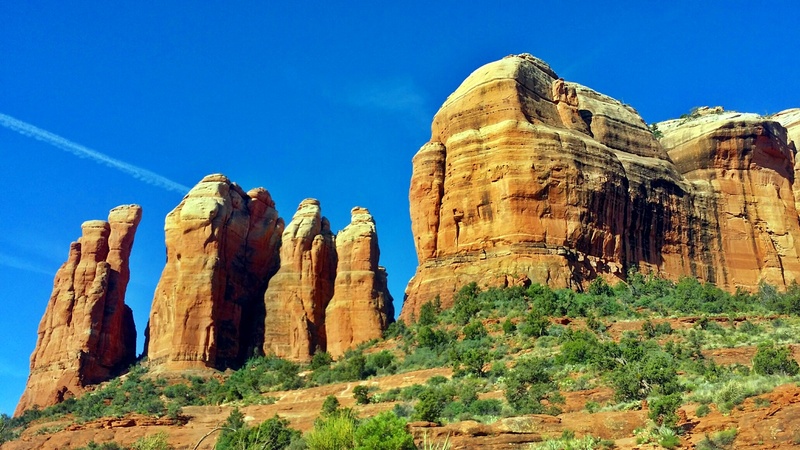 After breakfast and taking another walk with the family, enjoying the Canyon through the eyes of our niece, Violet, we then gathered ourselves up and made the drive to Sedona, stopping along the way to check out a piece of property his parents own in an off-grid area. The land is 40+ acres nestled against the National Forest, which was fun to see, and of course Dave and I got to see a giant black cow all by itself nestled amidst some trees resting, which seemed symbolic of the shadow in such a beautiful way, as well as a big jack rabbit with long ears and feet…reminding me of Cosmo. No one else saw them, but us – again. 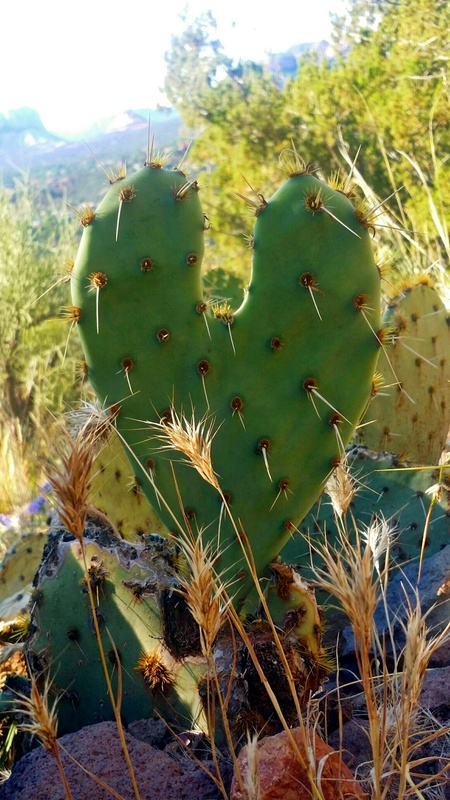 There were many themes abound for this past week, including self-nurturing, recharging, releasing, downloading the new, deepening connection, heart fulfillment, and integrating fears…to name a few. 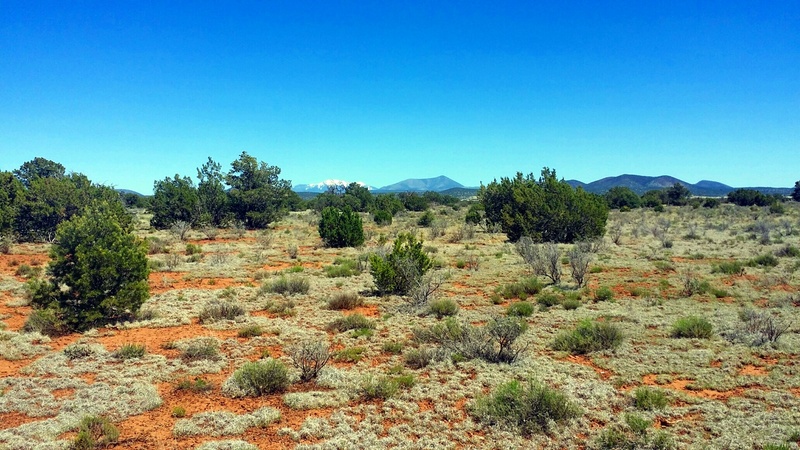 This was all assisted by staying in Sedona’s powerful energy, which has always, as mentioned, facilitated huge shifts for me. The vortex energies are downloads of Universal receivings as to what is next and what Great Spirit has in store through the vehicle of me as contracted. 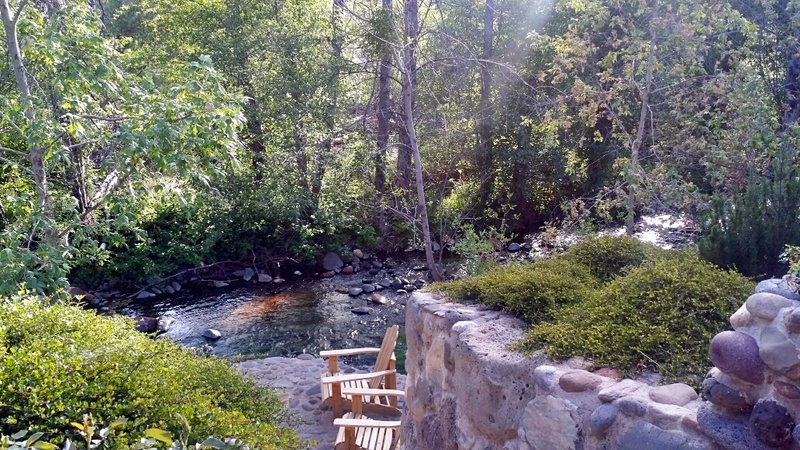 We were so fortunate to stay in an amazing house for the week that was situated right on the creek that runs through Sedona and in the Cathedral Rock vortex area. 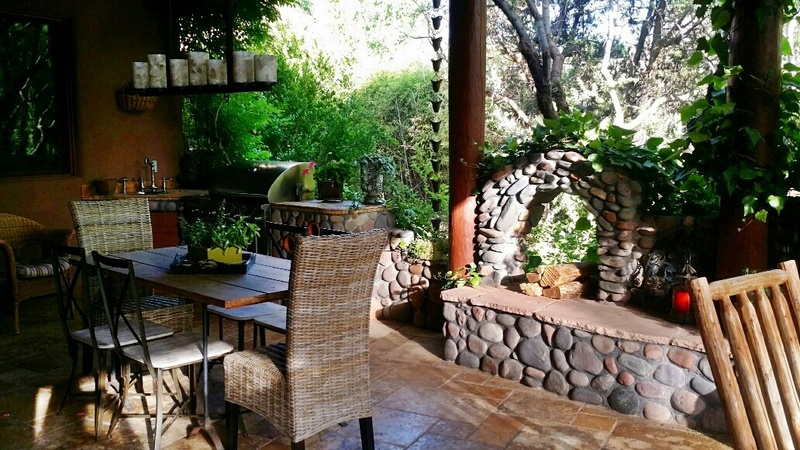 The house itself sits on a vortex, as the owner shared stories of a previous Reiki Master Teacher and Shaman who stayed there and their experiences with this energy. 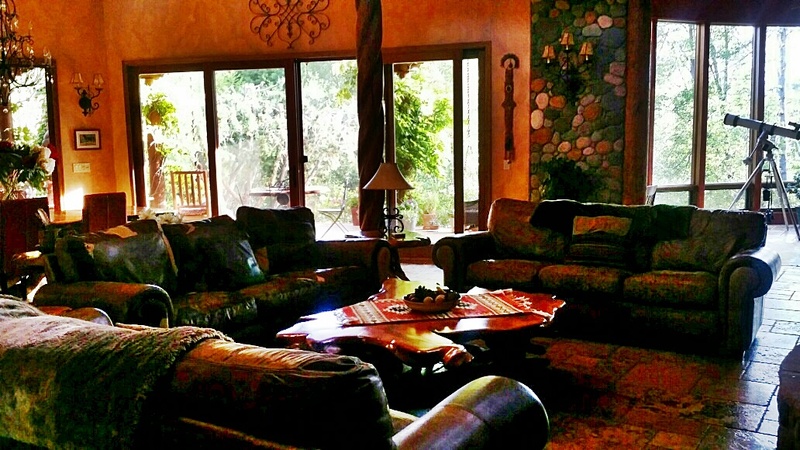 Anyway, needless to say the house was enchanting, amazing, and so tranquil…quite the sanctuary amidst the Sedona energy with flowing creek water and rustling trees in the wind…the perfect place to make home while there for this experience. 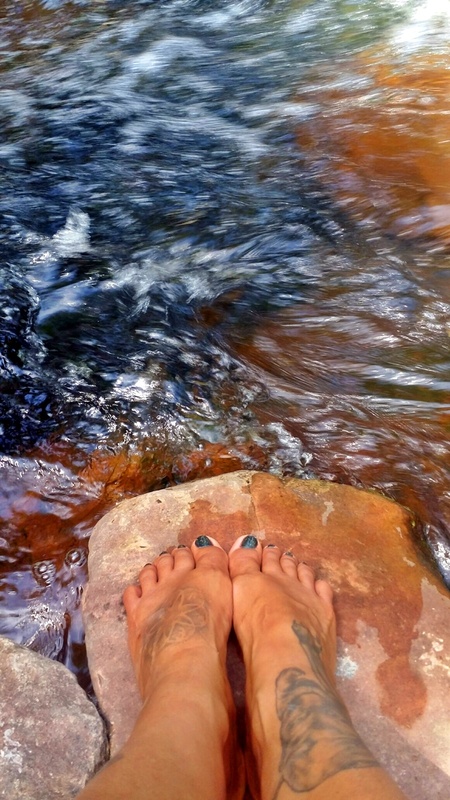 I so enjoyed dipping my feet and legs in the invigorating water, while just listening to the sounds and soaking it all in. 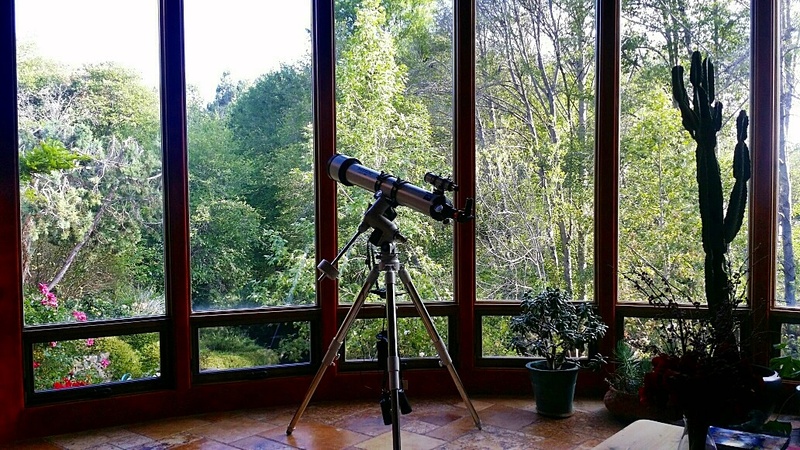 There was even an amazing telescope in the viewing room that enabled us to see the Full Moon on Tuesday, up close and very personal. The area we were in was “Back o’ Beyond,” which was a development that came about just after the development I used to live in with my parents, which was named “Mystic Hills” and situated just across and slightly south of where we lived across the highway. 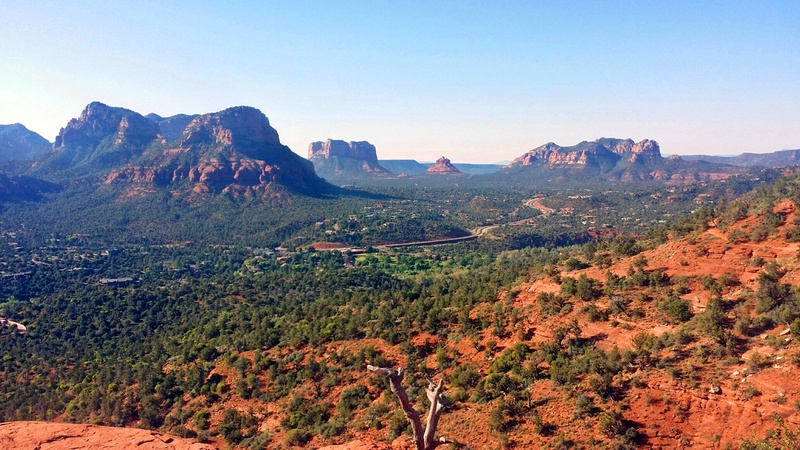 So it was fun to be back in relatively the same area of Sedona that I love. Everything just felt so divinely orchestrated. I couldn’t have been more grateful or felt more blessed. 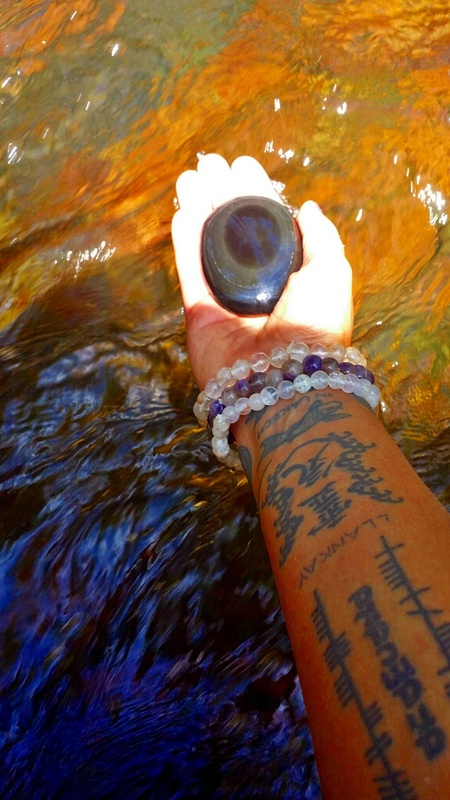 The only Crystal from home, besides several bracelets, rings and necklace I brought with me was a Rainbow Obsidian palm stone that I slept with each night and took out with me on hikes to connect and anchor the energy. I also let it soak of the creek water energy too. 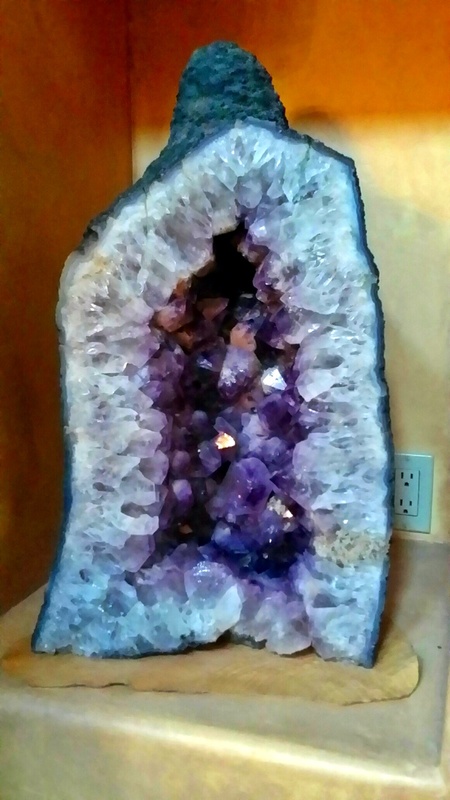 It was a great companion I kept in my pocket on the hikes and climbs and then would lay it on stones at each vortex area when we got to the top, to infuse it with energy I could then take home with me, but also to provide a mirroring transformation to my crystal friend that would partner with me on the journey. The Rainbow Obsidian represents my soul path, having a Capricorn North Node, and so this felt important. We enjoyed an amazing sunset welcome the first evening enjoying an outdoor dinner in a beautiful garden of our restaurant choice for the night. 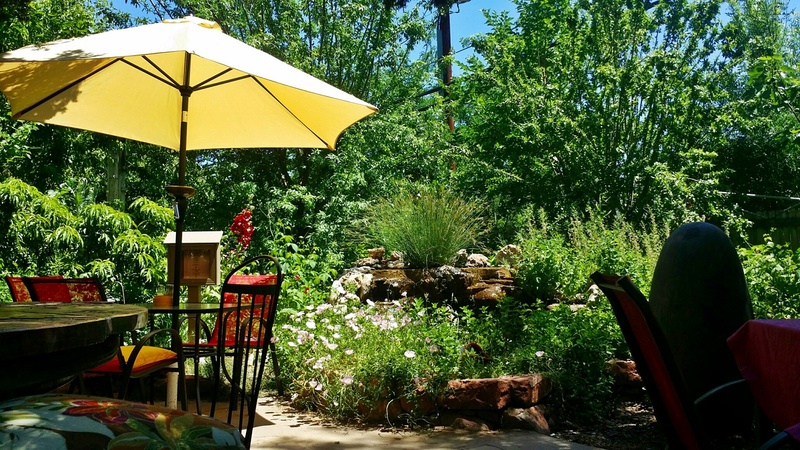 Every meal we had was enjoyed outdoors in fact, whether outdoor gardens, patios, or the sanctuary at the house. After settling in, the rest of the week was a build up of lovely experiences and energy starting with an early morning hike and climb up Cathedral Rock Vortex to the “Saddle” and “Ascension Chamber”, which was amazing, on the first full day there to kick things in. After, before lunch, Dave and I, along with his dad and step mom visited my old home so I could take photos of it at the request of my parents to see how things had evolved since the 9 years they sold it, and then made our way to Chapel Rock to take in the energies there and visit the Chapel overlooking the Madonna and Child and two Guardians next to Elephant Rock, which all resided over the house I lived in while there all those years ago. 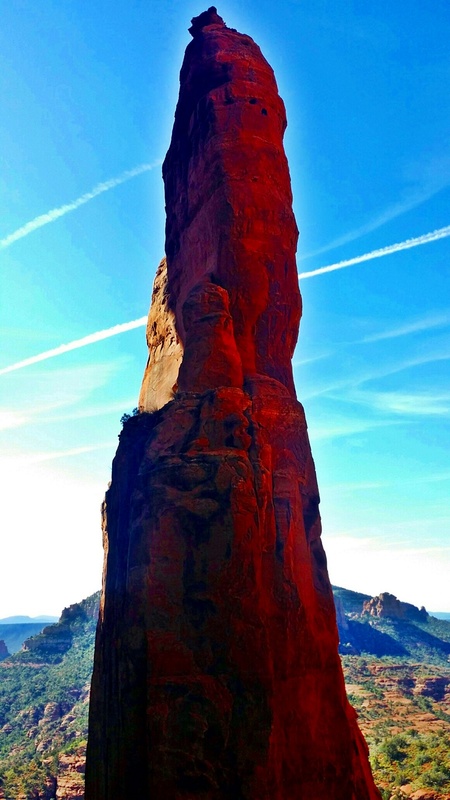 These were my old stomping grounds, as I would take walks up to Chapel Rock to sit and meditate inside and outside after a long day of personal work and spiritual surgery 😉 – my only connection to the outside world at the time, as I’d meet people from all over the world on my walk and time up there. 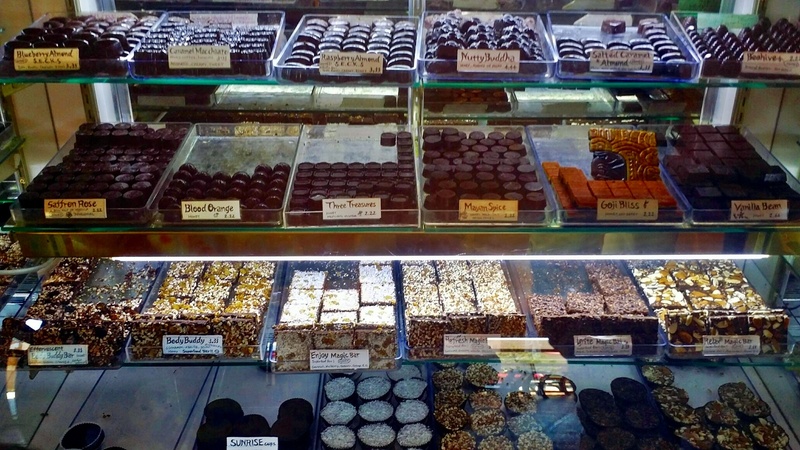 We enjoyed several of the great restaurants including ChocolaTree Organic Oasis for some raw vegan goodness and of course chocolates and dessert we took home to enjoy the rest of the week. It was so lovely to see the amazing expansion this place has gone through since my first being there when it was new. They now have a huge back oasis patio and side patio. Such a wonderful energy and vibe there. I went on a second hike with my partner’s brother’s wife/our sister-in-law around the Cathedral Rock lower trail area too this first day after lunch. And upon returning home a large lizard jumped off the table of our outdoor patio and wrapped around my ankle. LOL! Some nice medicine for the Full Moon day. 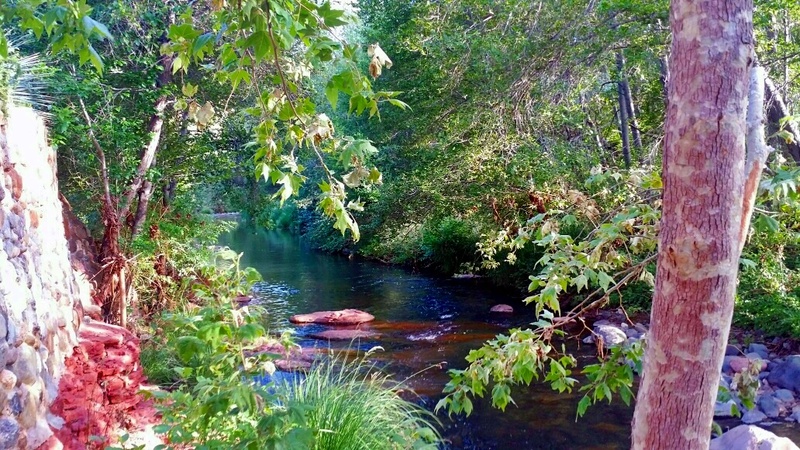 Not to mention got some great Creekside time just soaking in the amazing energies of the flowing, potent water and tons of musical birds, including a giant orange dragonfly that all graced this afternoon. I was feeling totally enchanted. We decided to take in the sunset with everyone and the tourists at the Airport Vortex, which is always quite the event and gathering. This evening was a very simple sunset compared to the night before…clear, piercing, and intentful. That night there was a huge drum circle gathering at Cathedral Rock for the Full Moon (which was a 10 minute walk from the house), but we decided to embrace our intuition that getting a good nurturing sleep was more powerful than joining it. And so we did, falling asleep to the drums echoing in the evening air, lulling us to sleep for a nice long, restful night of downloads. The next day we decided to do some touristy things, since most of the others had not been to Sedona, but they all felt very supportive to what I was there for. 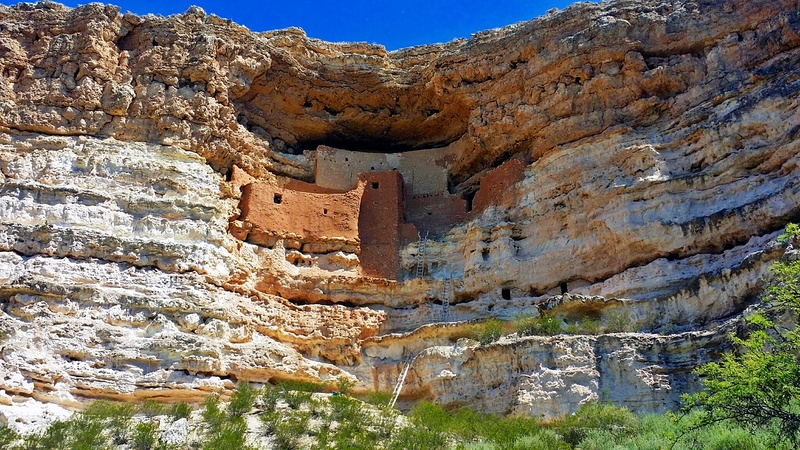 So, we started off with a morning visiting Montezuma Castle National Monument, which are well-preserved Ancestral Puebloan cliff dwellings. 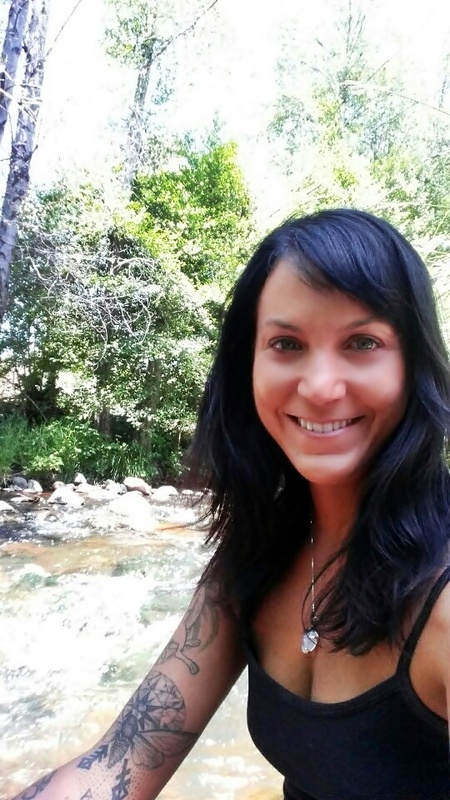 I was called to wear my Obsidian arrowhead ring this day and when we arrived at the grounds, three of the people that worked there, including a guide, stopped me when they were taken in by my dragon tattoo (the one I had actually had tattooed in Sedona by Siva on my last visit to Sedona a few years back). I remember visiting these ruins years back a couple of times, but this time felt different due to the space I was in personally. 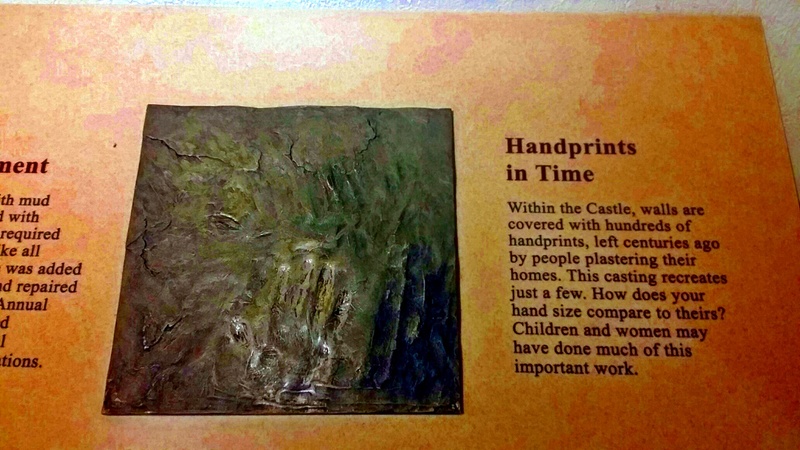 And as we read the information on the history inside the museum area at front, there was a hand print that they had found in the ruins there that you could place your hand in to see how it compared to the people of the time. Mine was a perfect match and this ran chills through me knowing the connection. No one else’s fit that I was with or that was around trying it at the time. The other odd, but interesting thing that happened was that our three-year-old niece, Violet, who is a very intuitive, seeing, and advanced child asked me a question. We were sitting listening to this guide who just came over and started telling us information, when Violet whispered to her dad something. Her dad said to ask me and she got shy, but eventually she did and asked very seriously and with conviction, “Are you an Indian?” to me. I giggled inside and out and said, “why yes, I am”. She “sees” so much and I’ve found it fascinating to listen to stories from her mom about the things she intuits and “knows”. 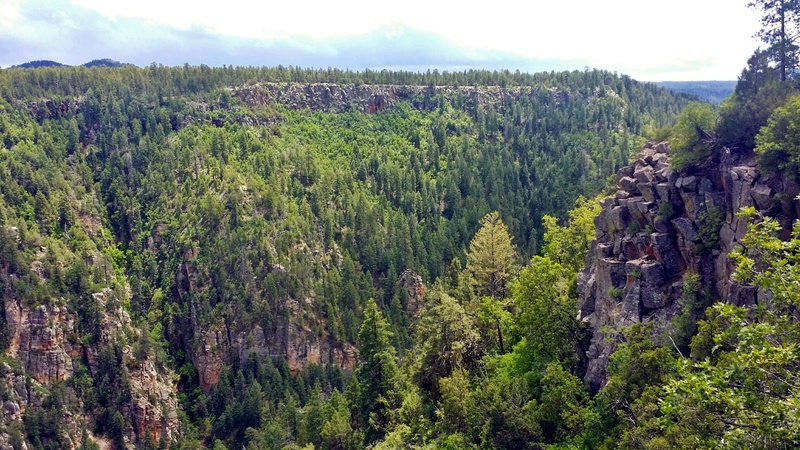 After our walk through the ruins we then made our way to Verde Canyon Railroad for an afternoon train ride for several hours. It just so happened to be in the town adjacent to where a dear friend of mine lives…one I had never met in person until this day. 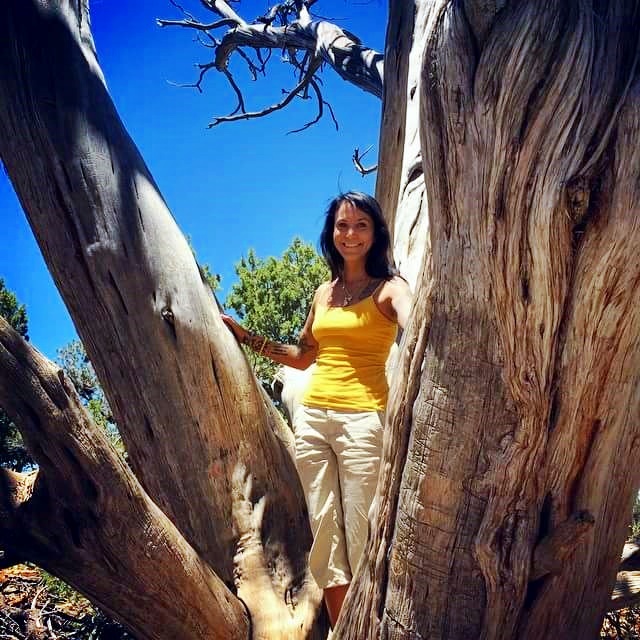 Dawn and I share the same Reiki Master Teacher extraordinaire, Laura Bruno, and we have been friends for several years online, sharing much of our journeys and synchronicities together. So it was quite the gift that timing aligned for us to connect, even if just briefly. 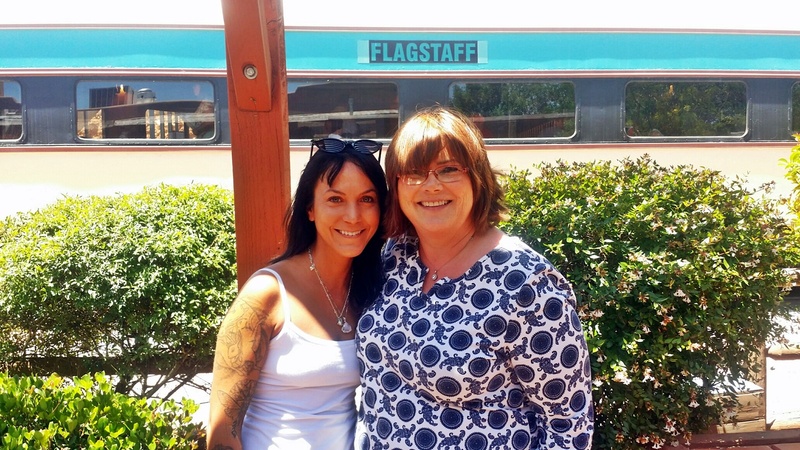 I did not know if I was going to be able to meet up with her or not, but Dave had the idea when we realized where we would be, for her to meet us for lunch at the train station. And so Dawn did…and we got to share a hug and a good meal together, which was truly a gift. 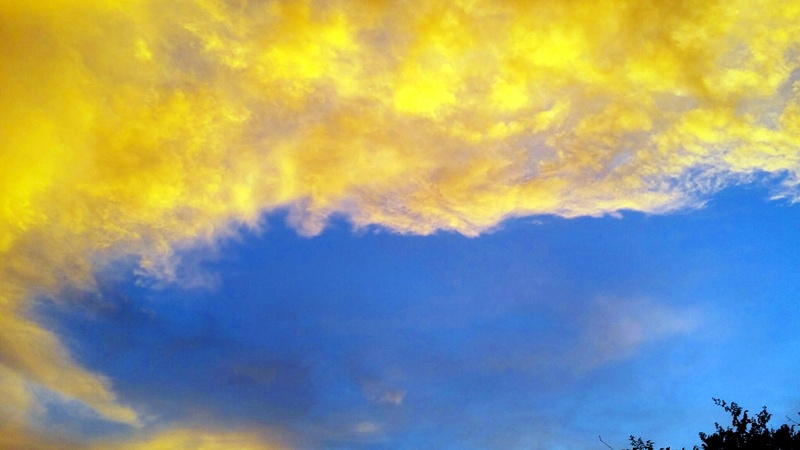 It’s always special to make that in-person connection when it aligns and as I shared with Dawn, even though brief, it is potent and creates an activation for what’s to come when things like this happen. So grateful for divine flow and grateful Dawn could make it, as I had just caught her before she was about ready to head out for lunch at the last minute. The train ride was also very relaxing and quite beautiful. As mentioned, Dave and I always have this uncanny way of “seeing” and connecting with animals when together and this was no exception. 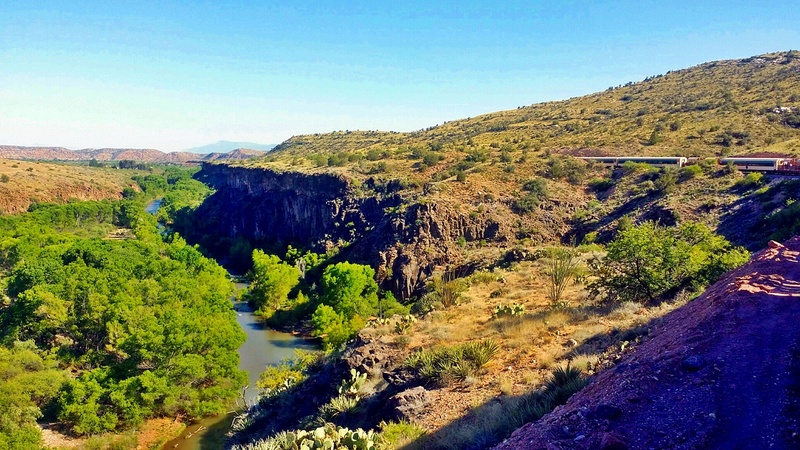 We saw three Bald Eagles, horses, two unusual ducks, and a family of javelina (wild pigs) – mother and babies. No one else saw them except for the horses, which we pointed out. It was a lot of fun and relaxing and I enjoyed the symbolism of crossing over a bridge twice and entering the tunnel twice…leaving the old, embracing the journey without knowing the outcome – just trusting – and then welcoming the completely new, which arrives after you go into the dark and shadows with courage. 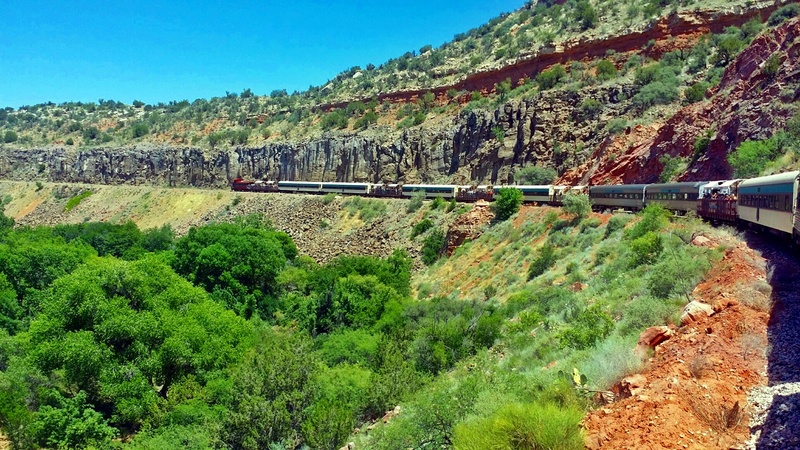 I noted that I was experiencing a lot of train energy between my visit with Laura in Goshen where trains go by consistently choo-chooing through and now this train ride in Sedona. Made me think of my train dream and post “Riding the Train of Life”. A long and enjoyable day ended with us all enjoying Thai take-out on our outdoor patio amidst the evening sky and bright moon-lit sky, followed by a lovely star-lit walk around the neighborhood with Dave’s dad and step-mom. 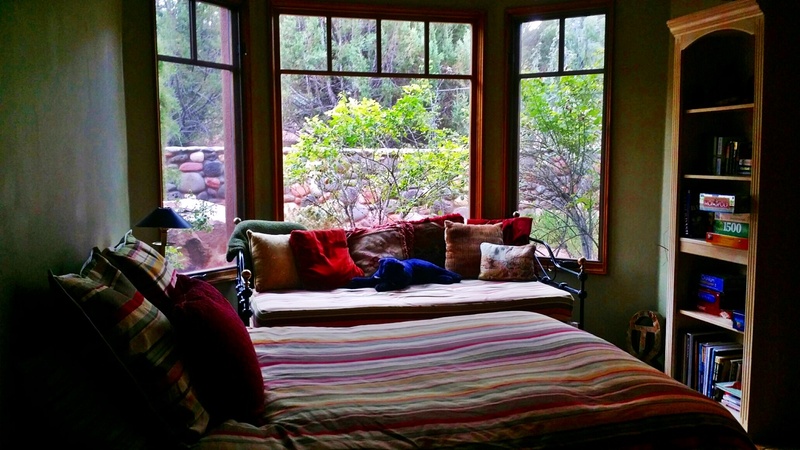 This night I slept well again, but had a dream interacting with the reader we were going to be seeing the next morning – Ray of Sedona. In the dream he and I were already making our connection, communicating telepathically. 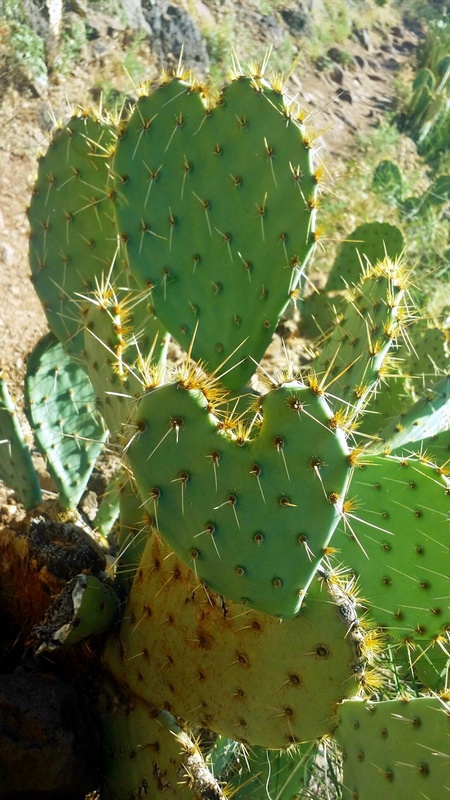 He is usually very vibrant and high-energy, but in the dream I could tell we were in our Higher Self modes and connecting during his sleep as well, as his energy was calm, slow, and as if I was talking to him in his sleep (which in fact I was). I have met him before in the past and had a reading done in person, as well as an Astrology reading via email. So we already had a connection, aside from our both being Pisces and sharing the same destiny numbers and similar life paths – all of which he reiterated in the reading when you made comparisons between our experiences and roles in this life. I felt having a reading on this visit would be potent and in fact it was. There were two times during it that it activated a deep soulful emotional release that had me tearing up with “letting go” and “gratitude”. Before visiting him we decided to visit the Airport Vortex and to hike there as well. 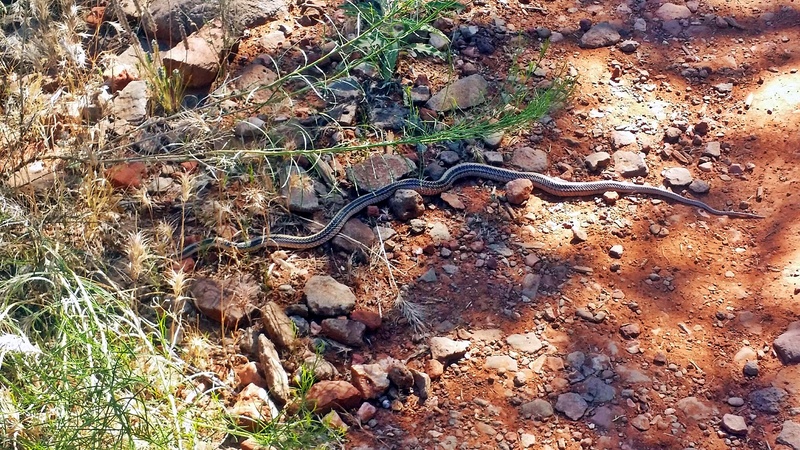 So we climbed the rock and downloaded, then did the Airport Loop on which we came upon Snake medicine on the path, right after Dave saying he couldn’t believe we hadn’t seen one, and us both thinking, now we will and did. We constantly manifest together and this keeps amping up for us. 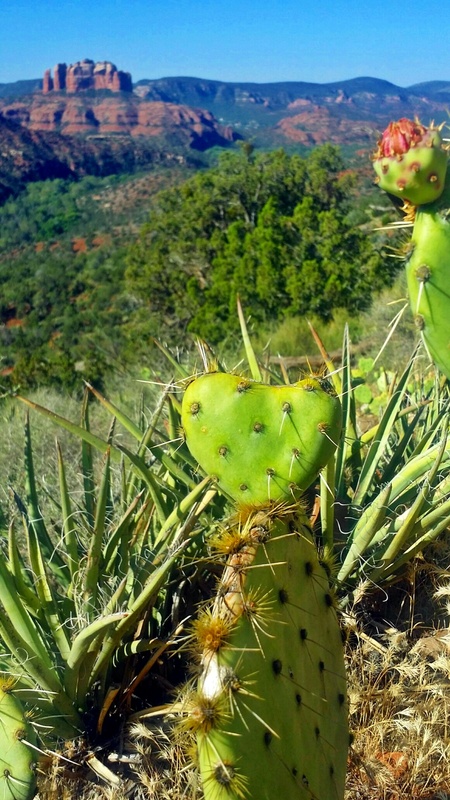 On this hike I saw tons of heart-shaped cactus and was just so enjoying the sweet, connective, and uplifting energy preparing us for our next experience. So after an energetic walk we visited Ray at his office outside Crystal Magic shop receiving each an individual reading and one together. Without going into any detail, I’ll just say, “wow”. What reiteration and confirmation of everything. I normally don’t do readings and haven’t had many in my life, but there are these times and situations where I’ve enjoyed it and felt it to be potent as a check-in. 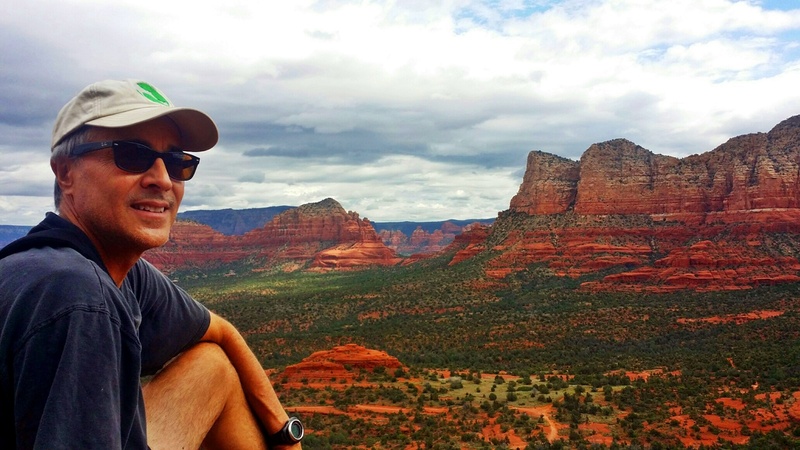 This indeed was one of them and having it in Sedona meant a lot to me. Plus, never had I had one in conjunction with someone else, which was quite lovely and powerful. After the energizing, very-affirming, exciting, and releasing reading, our sister-in-law also had one, which she enjoyed very much. And Dave and I both then explored the crystals in the shop while she did so, each finding some special things. I only took home two new friends – one of which was a surprise new find and the other a find I had intended and hoped to find. They include a Bumble Bee/Eclipse Jasper (inspiration, creative manifestation, overcomes obstacles, stimulates adventure, courage & endurance…) – a new find and SO perfect for the current energy I’m focused on with everything including my Capricorn North Node focuses and things I discussed with my sister-in-law about my Mars in Capricorn and what that meant for me and my evolution – which she reiterated and shared through her knowledge of Astrology since she’s been deeply into her astrological studies of recent months. It’s so wonderful to share so much with her, as she has similar interests and background in the metaphysical and magickal realms and I know her daughter is natural gifted in these things as well. 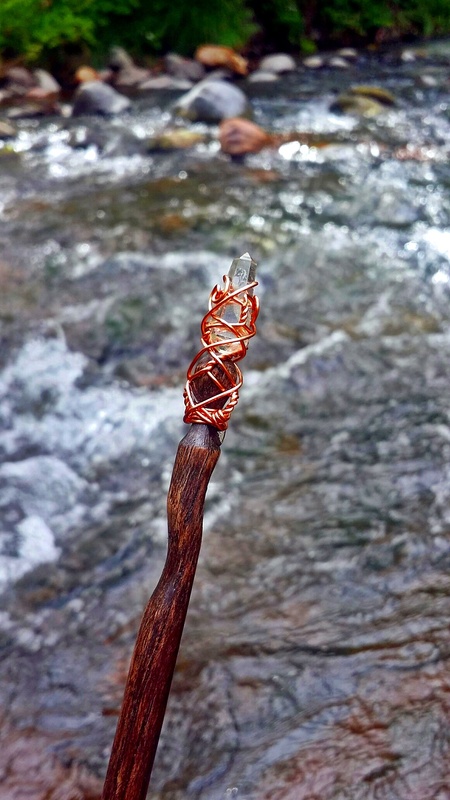 The other find I picked up was a magick wand, which is so graceful, elegant, and simple…just as I wanted. It is made of Red Oak for the wand and then has copper beautifully wrapped around a Quartz point at the end. Love!! 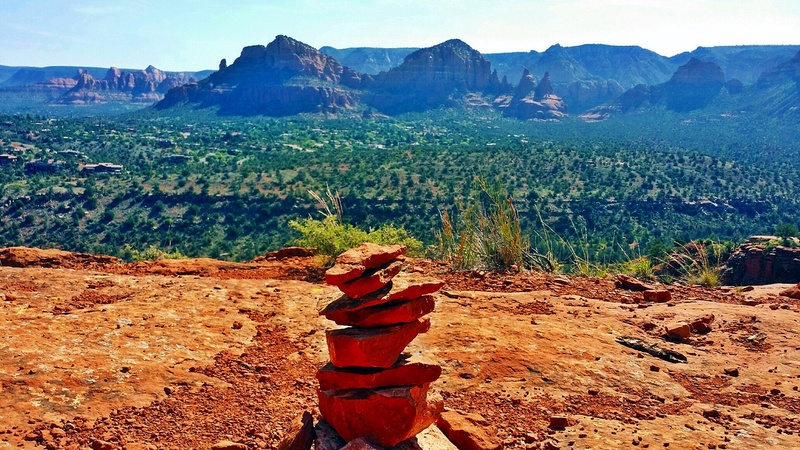 While I was picking these up, Dave was playing Sedona Santa, as we had been guided to intuit a special stone for each of us and the whole family, which he secretly picked up and then passed out later that night, sharing the properties of each that he felt were good for us. I ended up receiving a Chevron Amethyst. 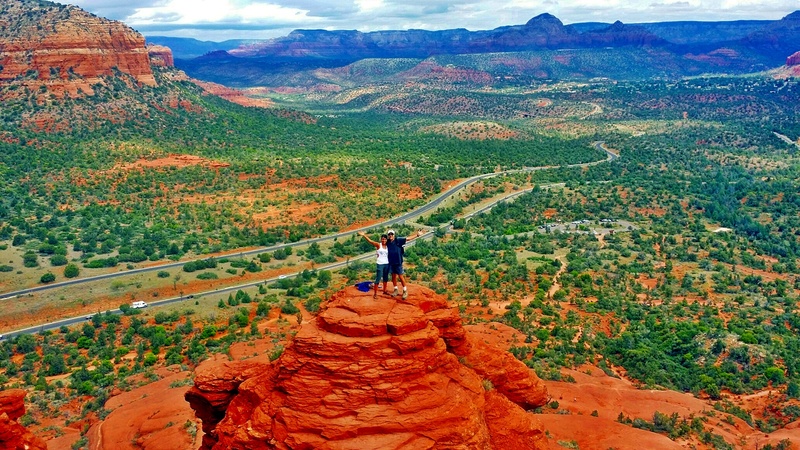 And we put beautiful and potent closure to our week in Sedona the following morning by doing a hike and climb up Bell Rock Vortex to one of the highest pillar tops overseeing the valley. We happened upon a guy named Mark playing his harmonica, as he ascended just ahead of us. He turned out to be a guide based in Oak Creek and stopped on the same pillar we did, which was great, as he then offered to take amazing photos from above. We were on about the second layer of pillars from the very top one. He jumped across to get some cool shots of us. I’d already embraced my fear of heights free climbing to where we arrived, but to go the ultimate top was beyond our desire, especially after seeing two guys attempting it by scaling the walls and rocks falling from their foot placement – just missing us by divine timing. I have an odd fear of heights in certain circumstances like scaling mountains from up high, skiing advanced slopes, and dropping straight down on rides. I embrace them all, but I have had fear take over to the point of freezing me and then my learning how to walk and talk myself through it, which I have. This came upon me twice briefly on this climb, but I moved through it quickly by myself and kept forging on like a true mountain goat my Capricorn ascendant, North Node, and Mars in Capricorn in the first house would be proud of. I did in fact have my Rainbow Obsidian, Bumble Bee Jasper, and Chevron Amethyst with me. Dave had his new Blue Tiger’s Eye and special stone too that he carries with him. It’s odd because things like para-gliding and para-sailing, as well as sky-divining and flying don’t phase me. But standing on the edge of a cliff or high-rise definitely gets the hair on the back of my entire body on edge. 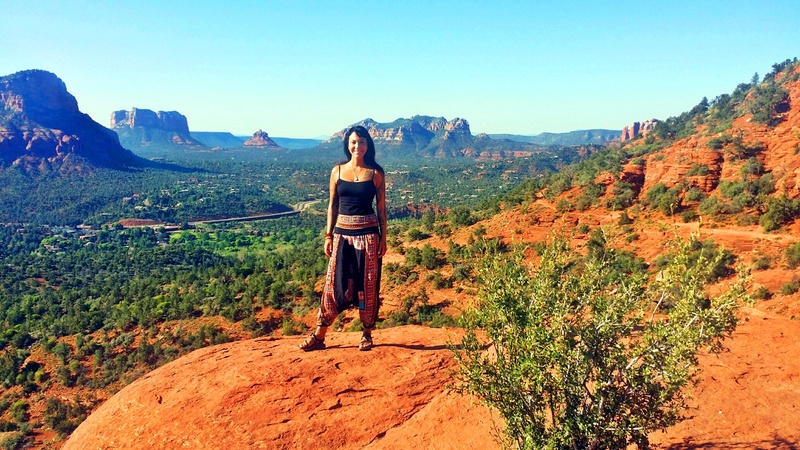 So doing things like this are big leaps for me and doing it in Sedona, where I was setting new aspirations and intentions felt potent. And I WAS pretty proud of myself, especially after hearing from Mark that people with a fear of heights never make it to where I was, let alone get up even close to it. So after this beautiful and growth-inducing morning we made our way back to our creekside sanctuary to pack and have lunch on our own, since the rest of the family headed out before us. 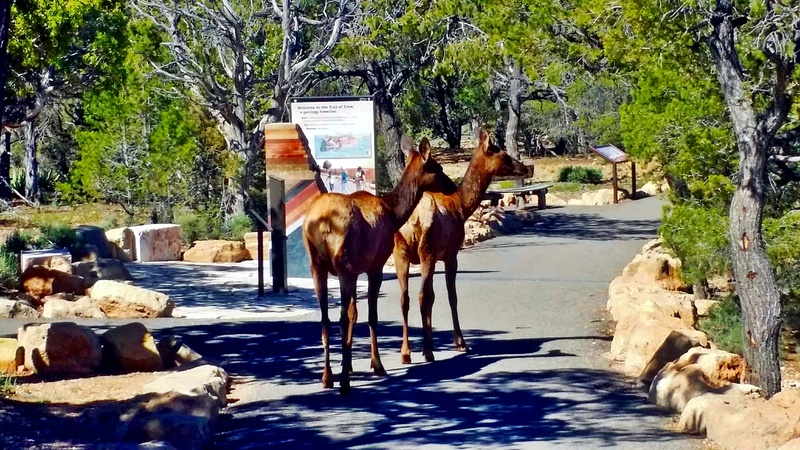 The drive up the canyon back to Flagstaff for our two-connection flight home was a perfect ending to this week, stopping at the scenic overlook and perusing Navajo artistry. On the flight to Phoenix I listened to the tape-recorded readings again that Ray had already sent us from the previous day, integrating and anchoring more levels of it. And decided on my flight from Phoenix back home to Orange County to process the trip by writing this post, which I completed on the way. It felt important to reflect and leave it all behind, before entering back into the zone where I would be preparing to make the new leaps. After quite the cycle of life I’ve been through, this trip really put to rest all of it. That’s why the emotional tears of release had welled up inside of me during Ray’s reading because it reiterated this ending and complete rebirthing that is taking place. 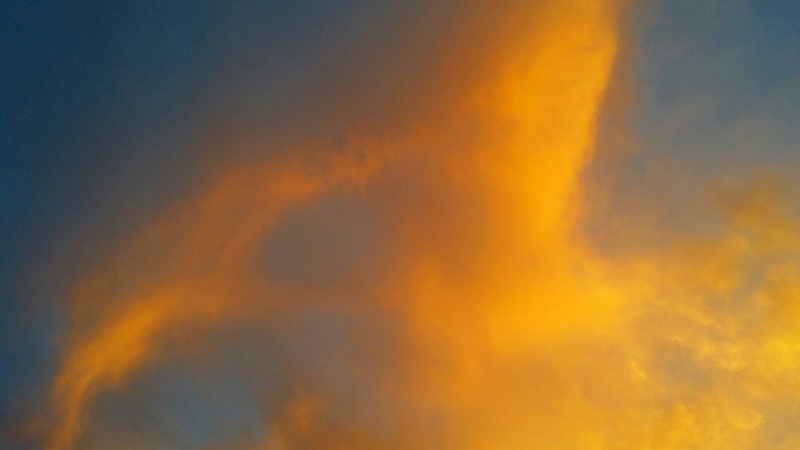 As he mentioned, I’ve been in the “Tower” and all of the challenging stuff and me, I’m tossing into the fiery depths to transmute into gold now. Alchemy is at work in the most fulfilling of ways I have yet to experience on every single level and for that, and for ALL, I am SO grateful. I will be making some announcements soon, as I honor these changes in my life. Thank you to everyone for all of your support and love. It means a lot. Starting May 18th, I’ll be gone for 3 weeks through June 5th – home only for 3 days in between the two legs of my trips. I’ll be online minimally, but will check emails and share posts of the occasional inspiration when I have time. I won’t be available for any services, however, during the 3 weeks. So work resumes the week of June 8th and is already filling up with private and group workshops, as well as design work. If you’re interested in joining any of the workshops and events upcoming, you can message me and register while I’m gone. I’m also booking tattoo designs for July. I’ll be visiting three different areas while I’m away, which means receiving and giving an energetic infusion on multi-fronts. First stop Goshen, Indiana to visit my dear best friend, Laura Bruno, for the first time in nearly 6 years (about 5 years and 8 months to be more precise)! The last time being our fun trip in Chicago, Fall of 2010 – Blast from the Past – my how we’ve changed! It just so happens to coincide with her Birthday so celebrations all around in store. Excited to see her amazing garden and to do some special activations together for what we are individually and collectively creating. 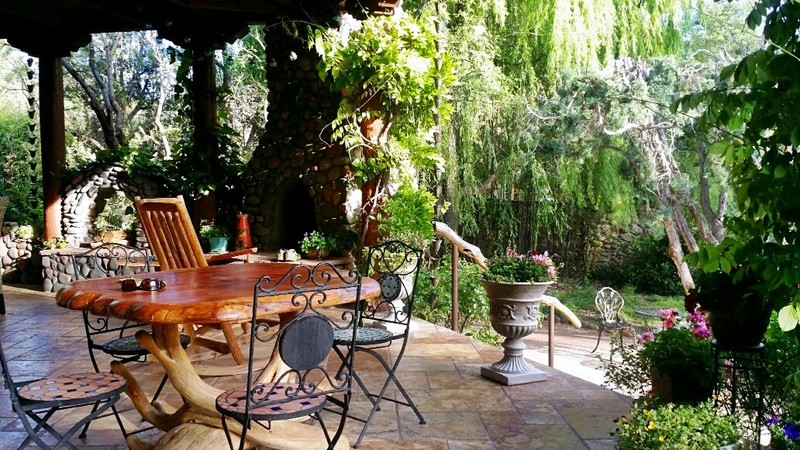 She has a lot of garden goodies in prep for yummy meals (she makes amazing Faery food) and has been working away on planting hundreds of plants before I get there so that we can spend some quality time together. Although some of that I know will be shared in the garden where she’ll be giving me some garden-101 tips I’m sure! Our time in person is always potent and usually kicks off a new cycle for each of us and I feel this one is going to really spark a leap in our journeys. Our most magickal and life-changing trip to date was in Mendocino/Fort Bragg in Fall of 2009. It changed the whole playing field for us, indeed. 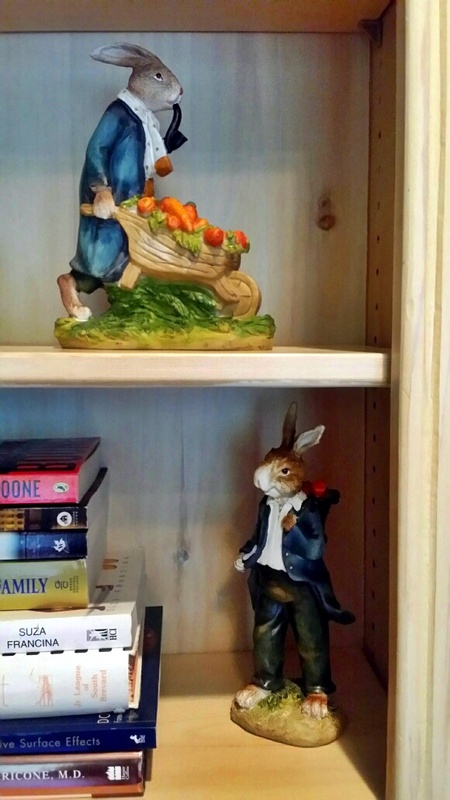 I’ll return for 3 days after our Faery fun together…just a little downtime transition to integrate and prep for the next leg of the journey, plus check in on the little bunny loves I’ll be missing big time. And then am off to Orlando, Florida for a week. Dave is giving several talks at “The Real Truth About Health” Conferences that week for his book “Meatonomics” which will host an amazing line-up of incredible speakers. This is a free event both in person and online. You should check it out. I’m looking forward to also visiting Disney World for the first time and seeing my good friend Yasmin there locally while sharing the crystal love! 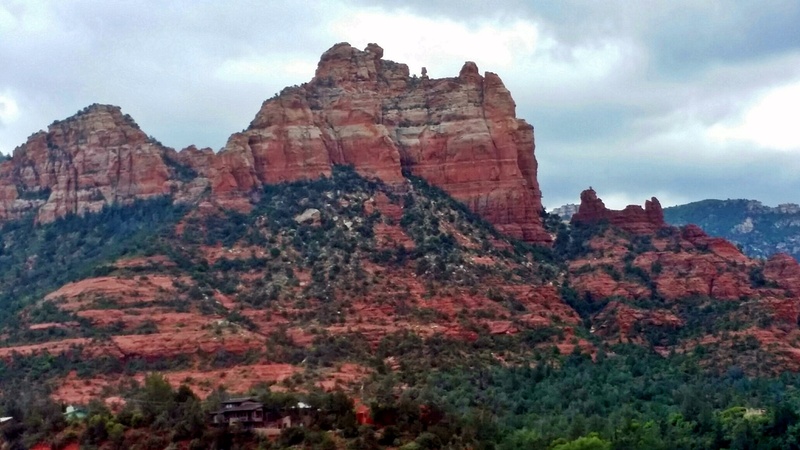 Then before returning home, it’s off to Sedona, Arizona for a week, direct from Florida. 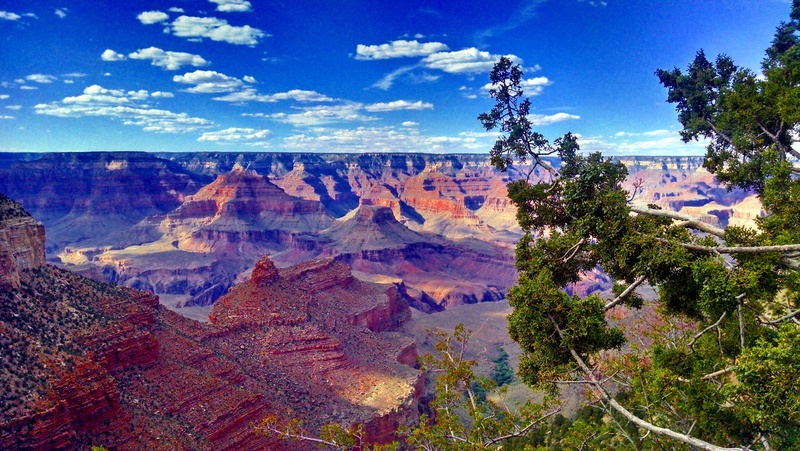 Going to be spending a day at the Grand Canyon and then the rest of the week in my once-home-town of Sedona with family. 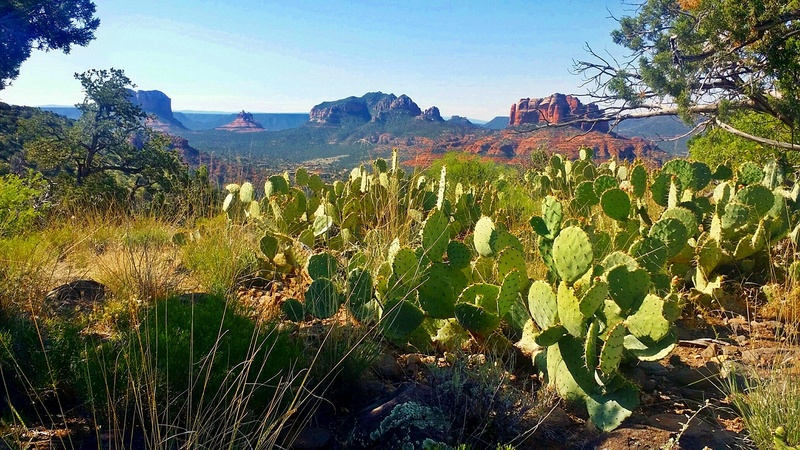 I used to live there for two years and have frequented a lot, so I’m very much looking forward to this and the timing I feel is auspicious to things for me personally, as Sedona has always been one of those places that I go to or live in at particularly large leaps in my life – and this definitely being one of those! The energy there has always ignited big things. So I’m looking forward to hiking the vortexes, getting a reading from a favorite Tarot/Astrologer/Intuitive – already got in an appointment! – hopefully seeing another dear friend, Dawn, in person for the first time, and seeing what unfolds. I’m so grateful for these powerful trips and connections this year that all seem to be supporting, igniting, and activating the major shift I feel happening personally and collectively. And that always means new inspirations and channeled creations to come! As mentioned, I’ll still be checking emails and messages, but if there’s something particularly important or that you need more assistance with, please message me before I head out on Monday. 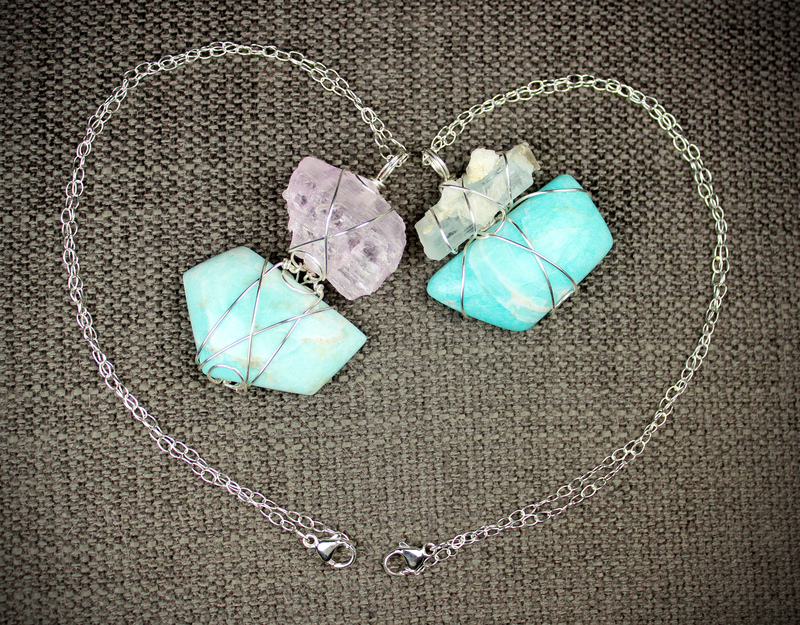 Allison and I love to create special pieces for our Joyful Earth Crystals clients and as shared, we’ve been enjoying the new custom commissions that have been beautifully unique and varied. These are our latest creations (pictured throughout the post) that symbolize a special union of two souls that we are really in love with. We were commissioned to create a pair of partnering pendants for two kindred twin souls (both water signs) that share a connection of eternal and unconditional love. The pieces we created were to be connected in some way to mirror this union, while simultaneously reflective of the individual it was going to. We instantly knew which pieces were meant for them. 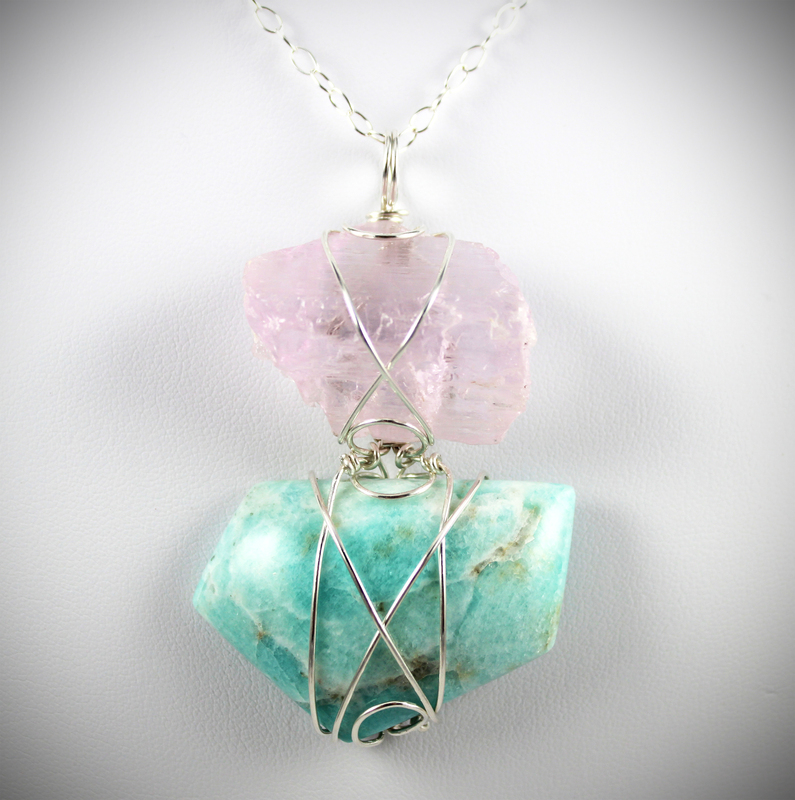 The first you see pictured is named Communion of Heart and combines a luminous Kunzite atop a beautiful Amazonite. 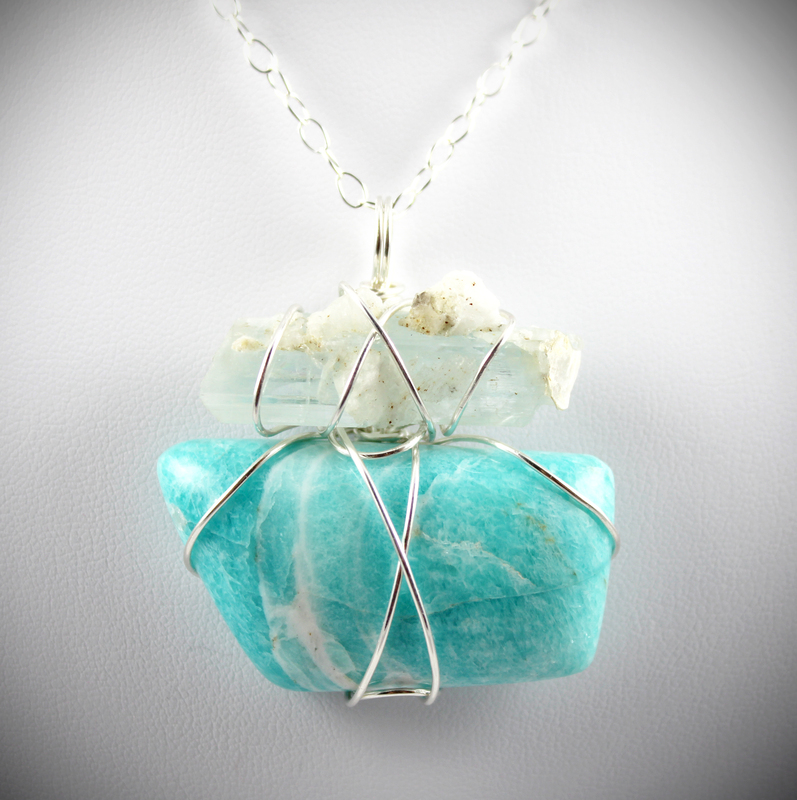 The second you see pictured is named Communion of Soul and combines a lovely raw Aquamarine and a partnering Amazonite. Each wrapped in fine, pure silver with a pure sterling silver, 18” adjustable chain with lobster clasp. 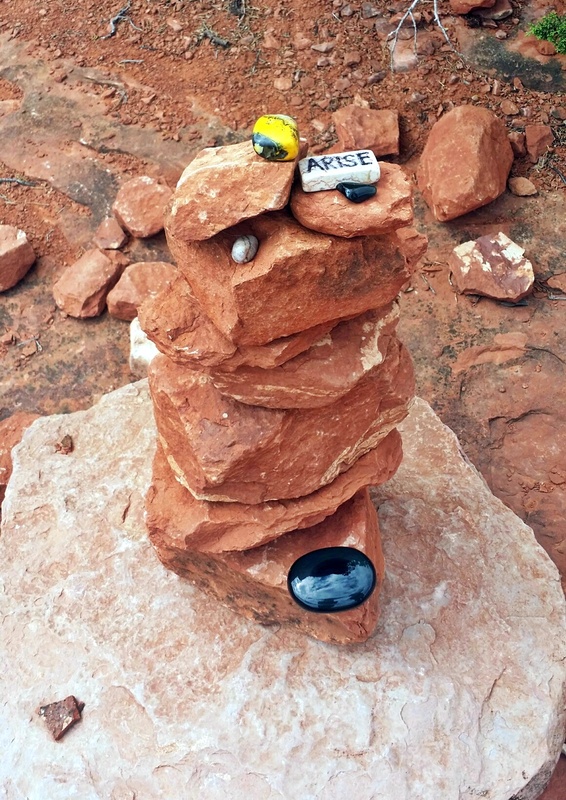 The timing of this creation was so synchronous and also fell during Allison’s first trip to Sedona this past weekend, along with my telepathically receiving those Sedonian energies through her. 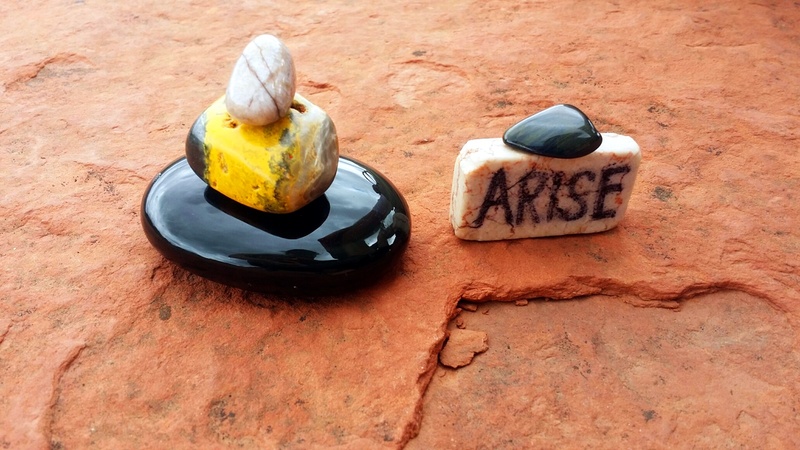 So this pair of connected pieces are really infused with beautiful and potent energy. They have been sent off to their new keepers and scheduled to arrive on Friday’s Full Moon! We were so excited upon showing our client the images before sending, to hear them share that they could already feel the energies of these pieces and were extremely happy. I love the pairing of stones to compliment and blend energies of each. Some stones prefer to be on their own and others are beautiful matches of soul unions, much like we are as humans. More unique combinations will be available. Allison has really done a lovely job in uniting the crystals in gorgeous, finely secure design, which is so important especially when working with more than one stone. She’s amazing! Lemurian Dreams Pastel by Tania Marie - Inspired by Laura Bruno's book, "Schizandra and the Gates of Mu"
It’s been an interesting week following an energetic detox weekend. 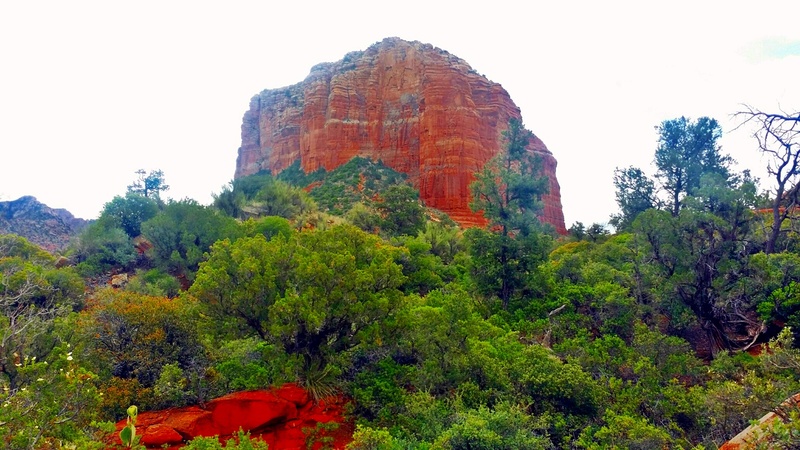 Seemed that along with the Mercury Retrograde energies, I was reliving the energy of, and my time I’ve spent in, Sedona this weekend because Allison Jacobson, whom you’ve come to know as Joyful Earth Crystals’ designer and Emerald Bridge’s Chief Creative Officer, was visiting the area for the first time. She had opportunity to go by my old house there and some of my favorite spots. Via our telepathic connection, since we are so close, I was definitely feeling like I got a vortex shifting zap! And have been sort of in an altered space this week and focused on both practical matters and energetic magic while things percolate. Interestingly, this weekend I was also inspired to post my painting of the Pleiades, along with a Walt Whitman poem – On the Beach at Night. Unbeknownst to me when I was posting, was that this was a poem that was in Schizandra and the Gates of Mu (based in Sedona) by my faery sister Laura Bruno. I had read the book when it first was completed, but did not remember this. When I posted the poem, I was feeling somehow I was connecting to it and drawn to it, but didn’t know why until Laura posted a comment on that blog post reminding me that it was in the book and connected to one of the beloved characters in the book, Haru. 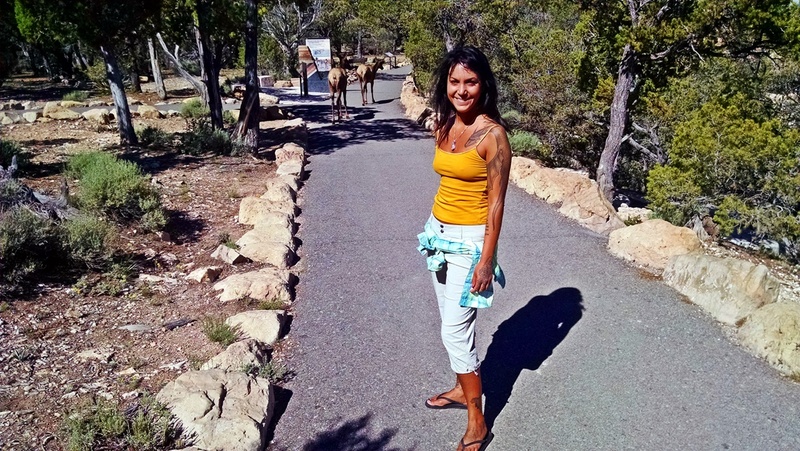 At the beginning of November I returned to Sedona briefly to get my newest dragon portal tattoo I have on my left arm by magical tattoo artist, Siva – who is also featured in my book, Spiritual Skin. And so, there is a lot of connected energies and activation at work. 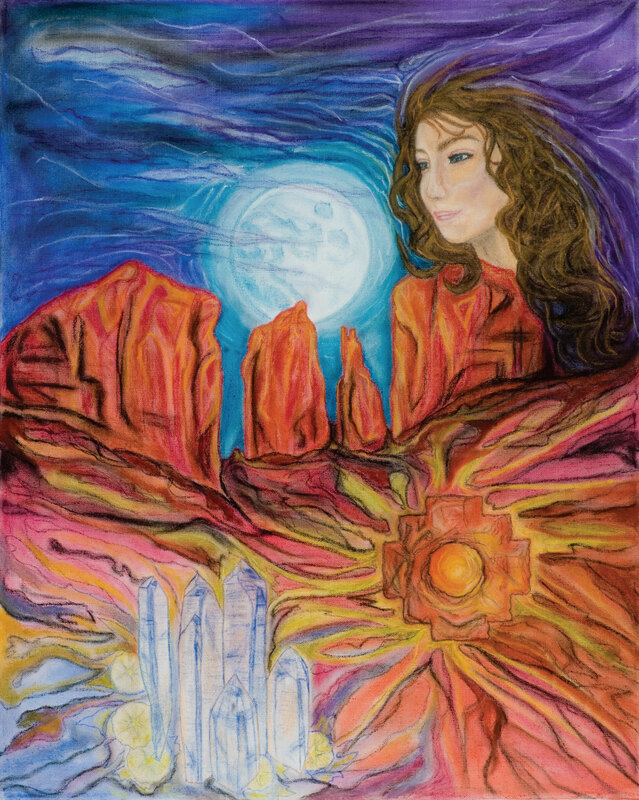 In light of the new energies and a “revisiting” of Sedona on many levels, I’m sharing this pastel painting I created for Laura, as inspiration for her book based in Sedona – Lemurian Dreams.